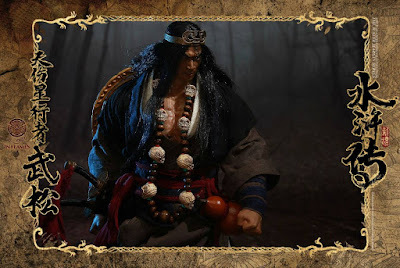 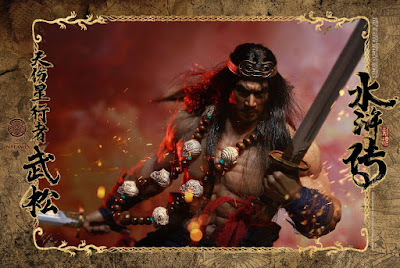 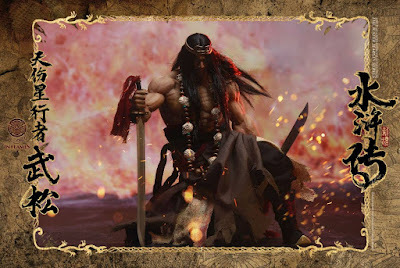 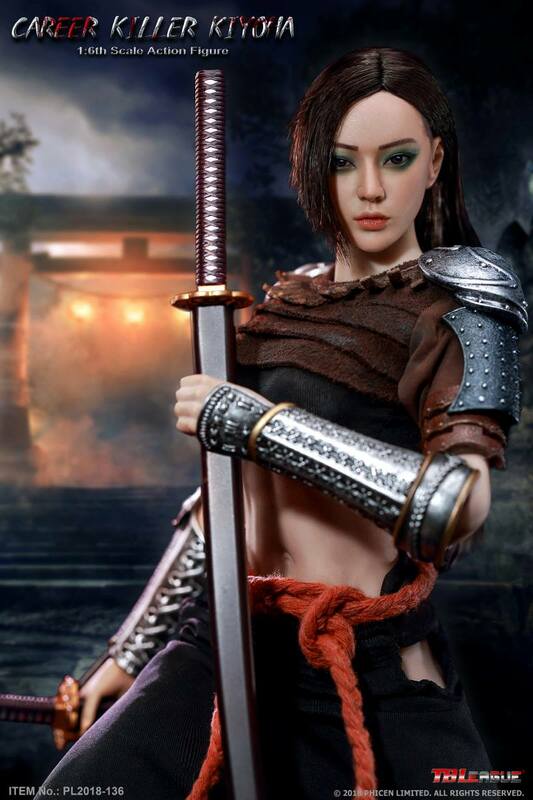 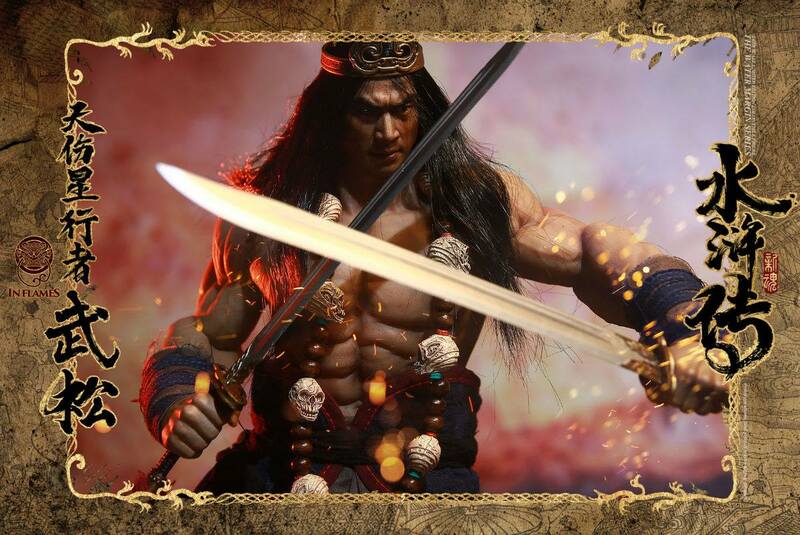 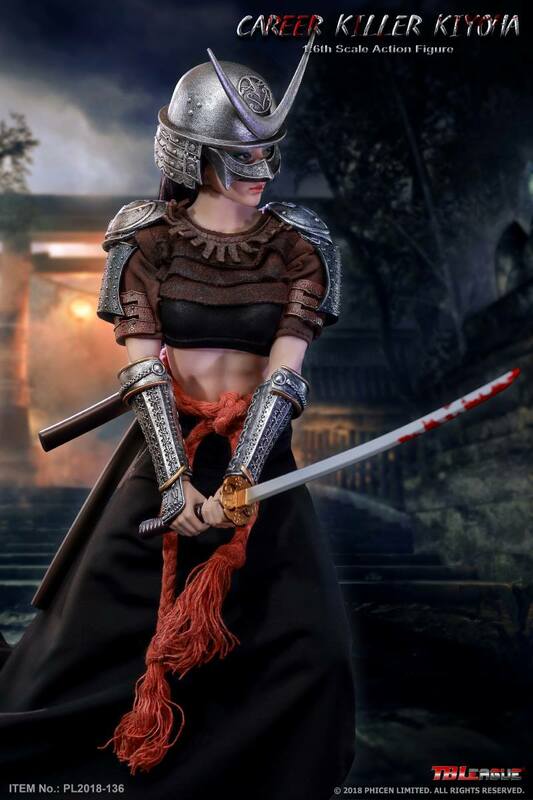 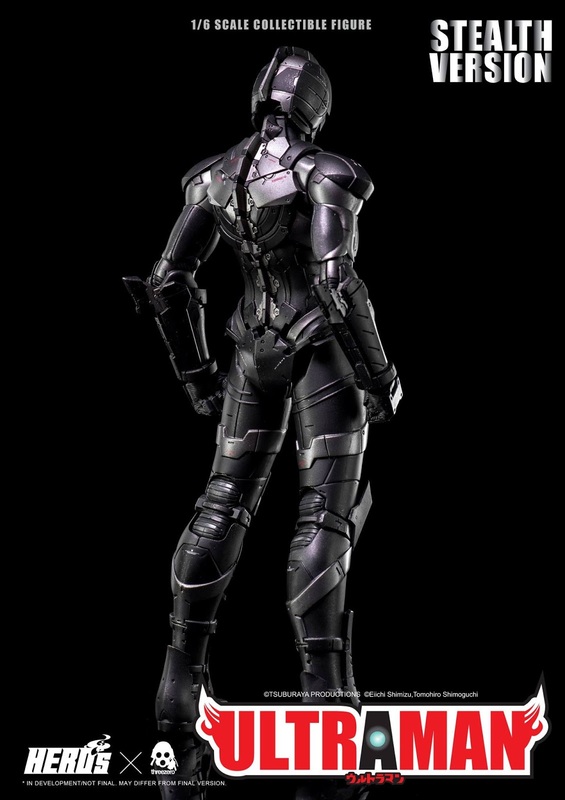 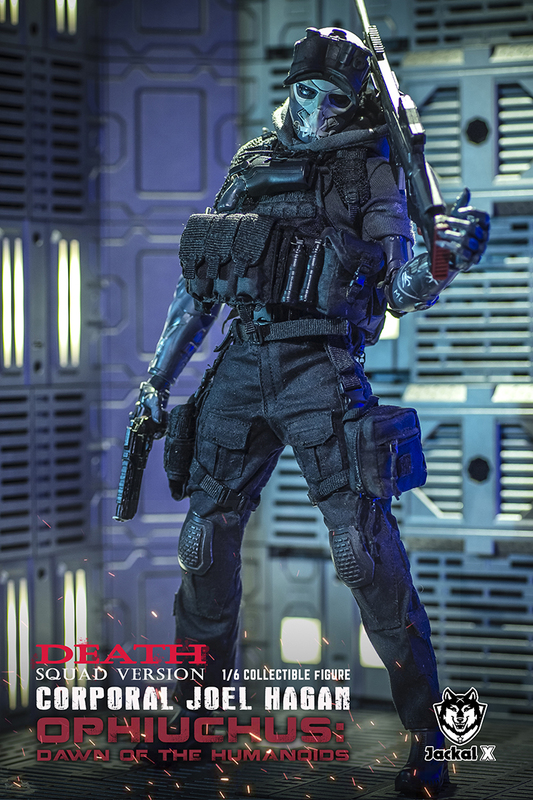 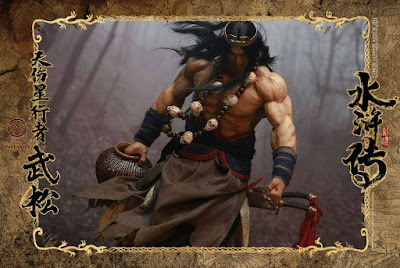 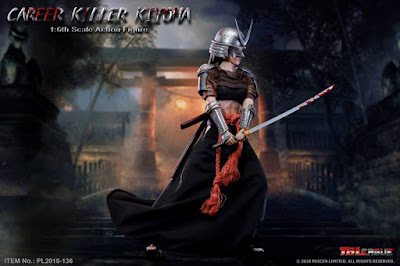 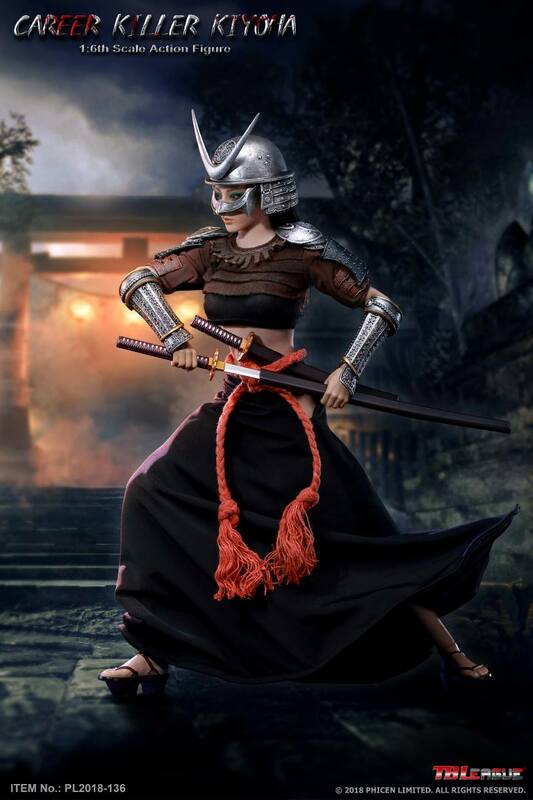 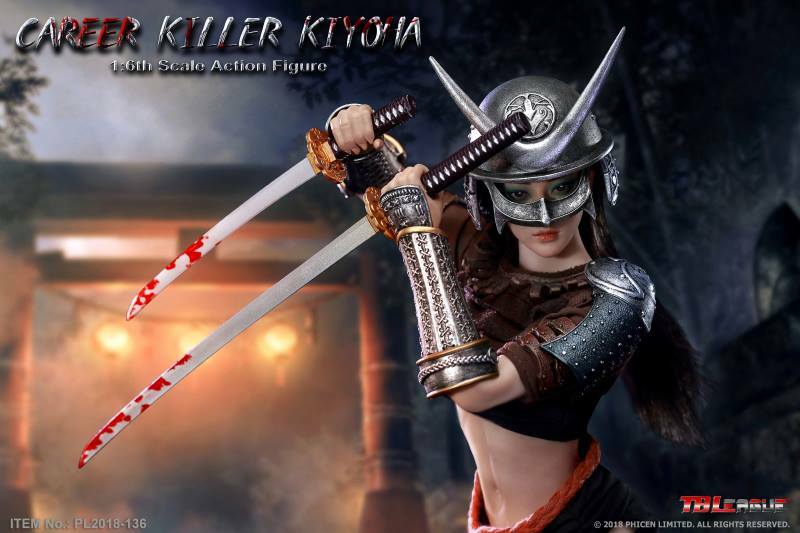 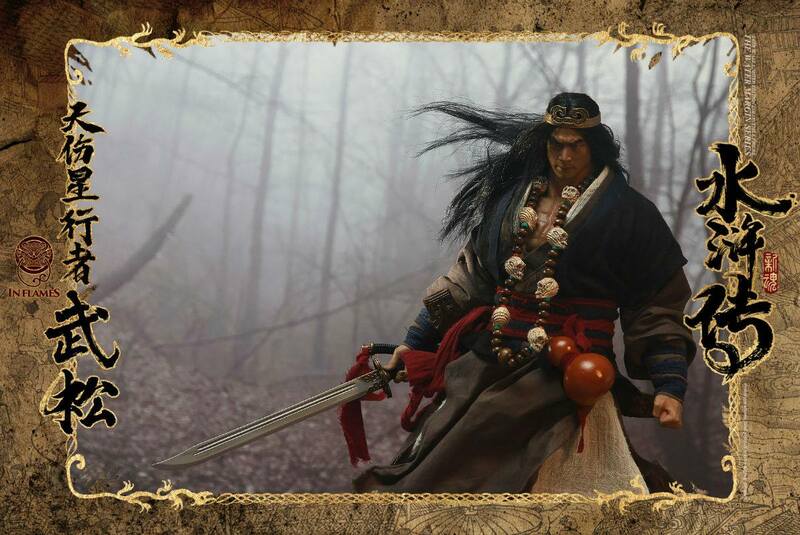 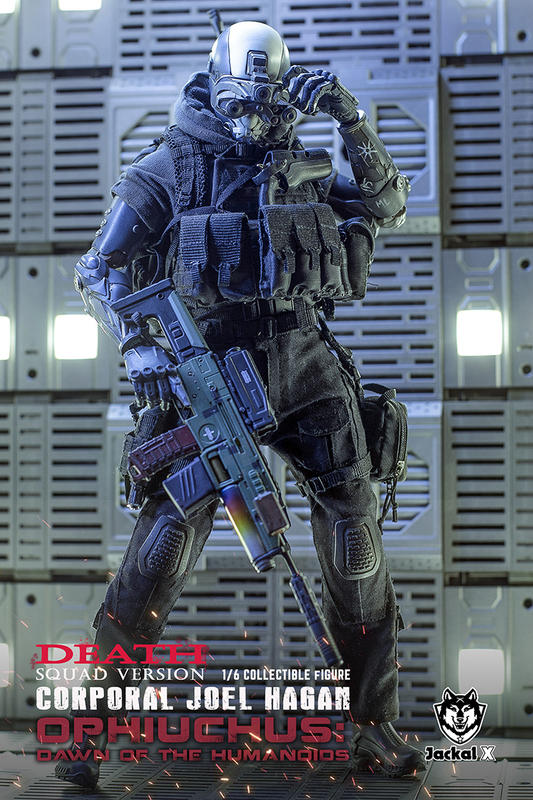 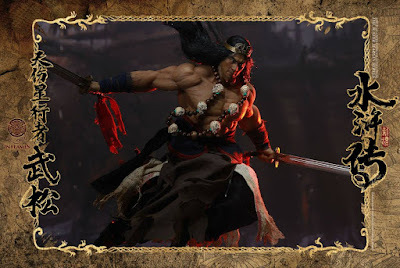 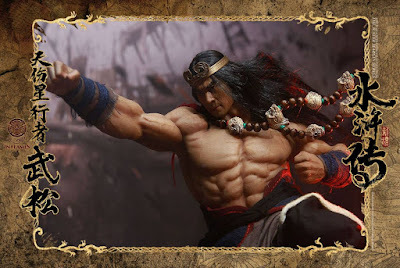 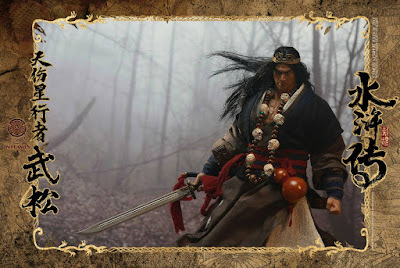 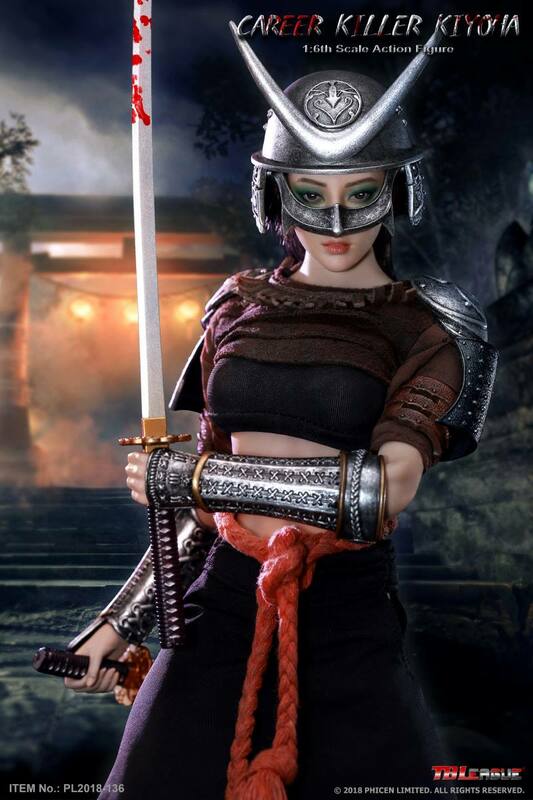 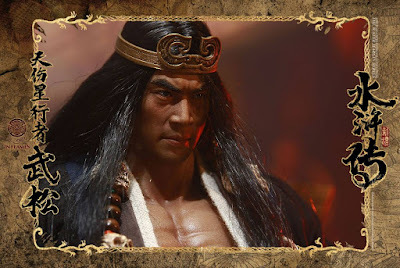 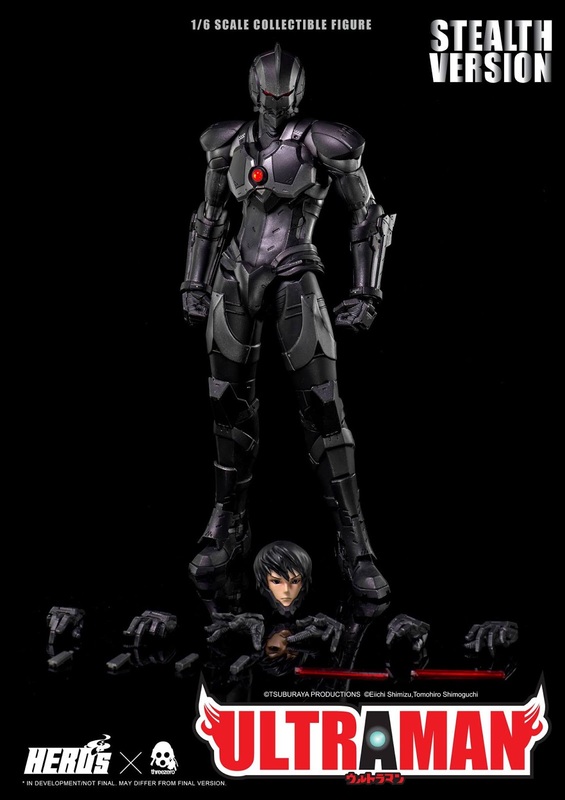 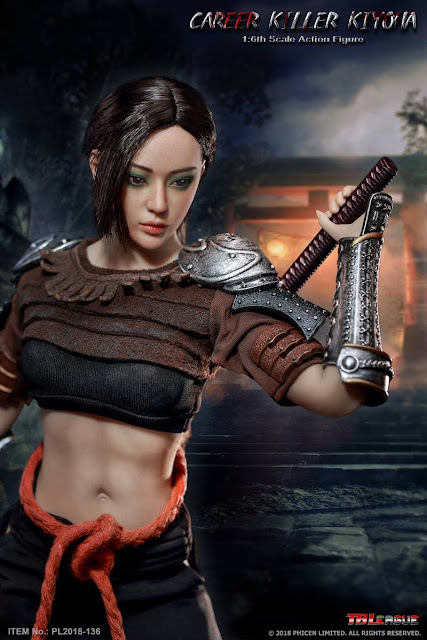 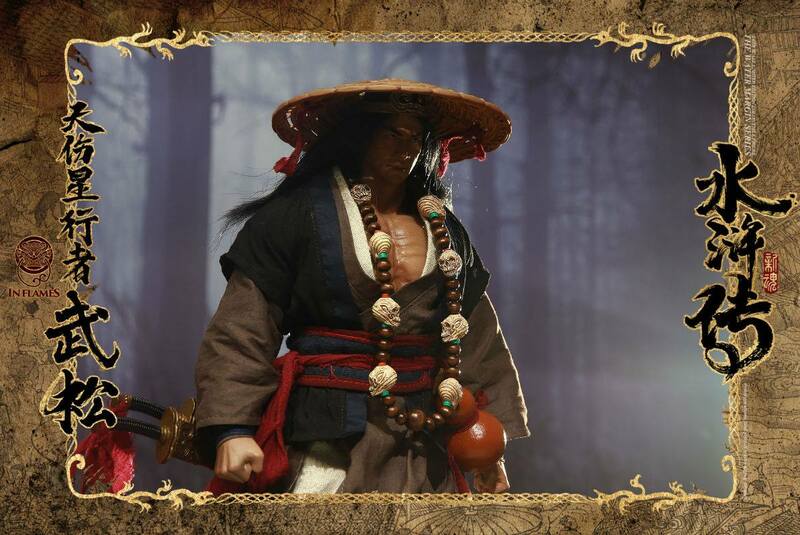 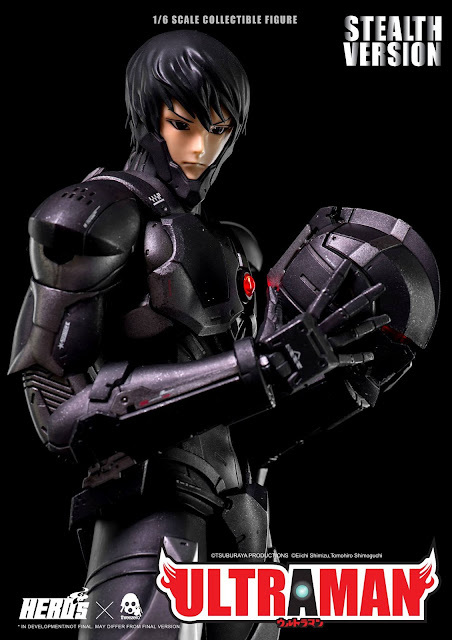 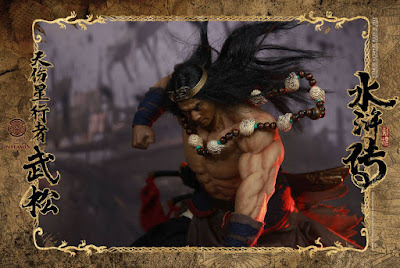 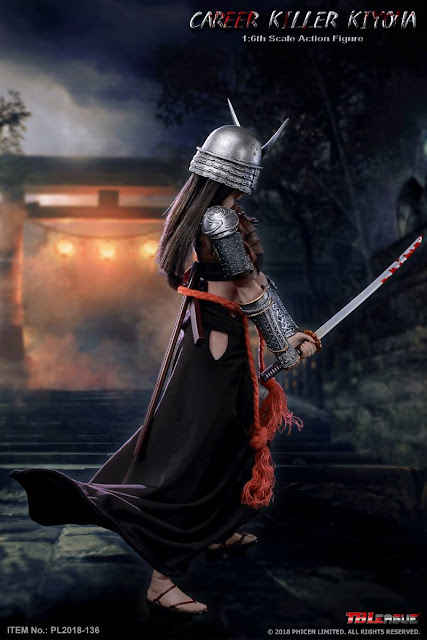 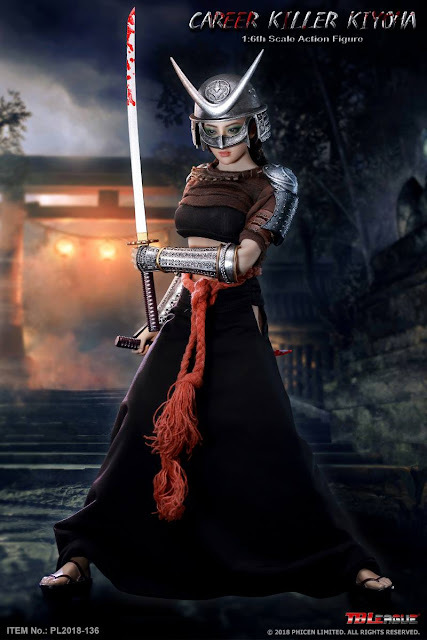 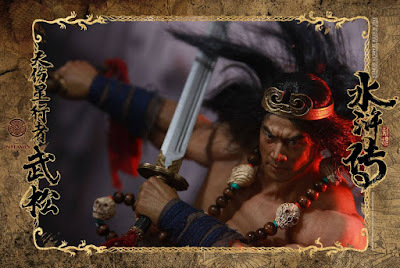 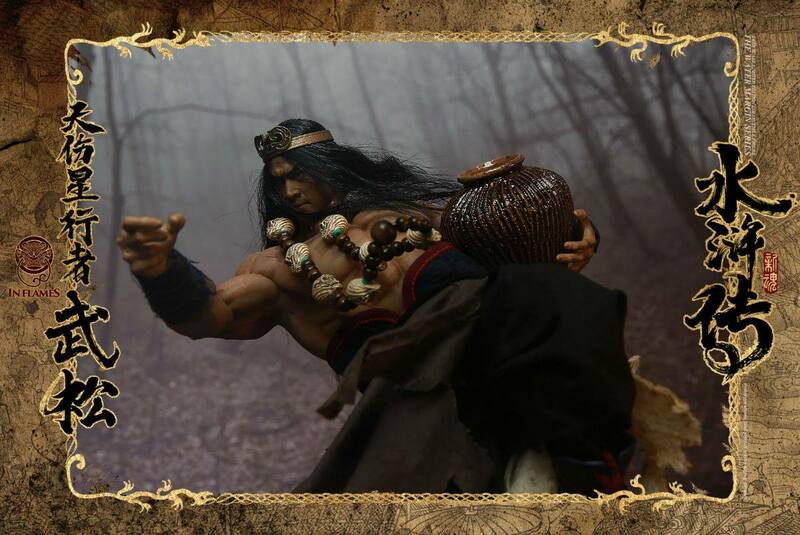 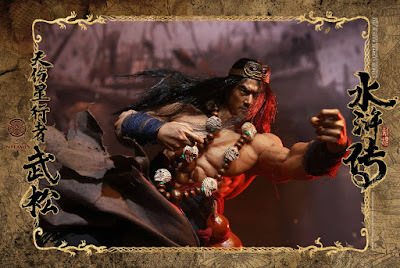 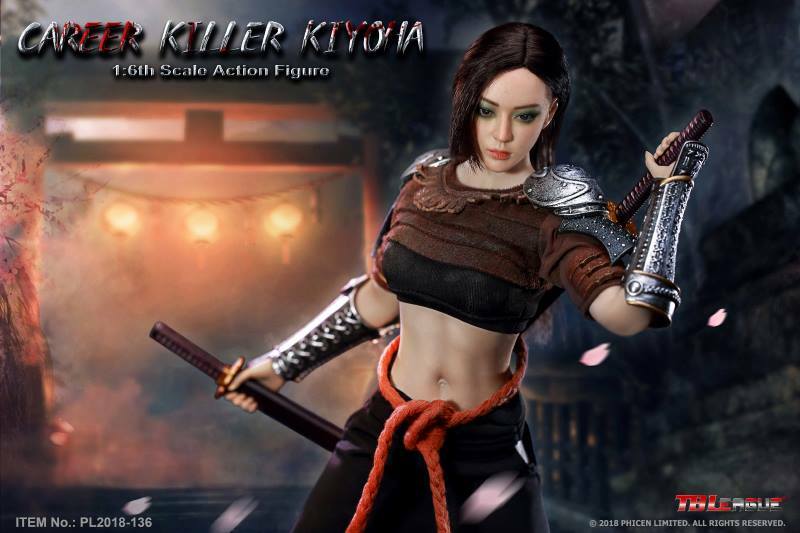 This TBLeague (formerly Phicen Ltd) 1/6th Scale CAREER KILLER KIYOHA 12-inch Action Figure reminds me a little of Shao Kahn, a character in the Mortal Kombat fighting game series, mainly because of the unique helmet design. 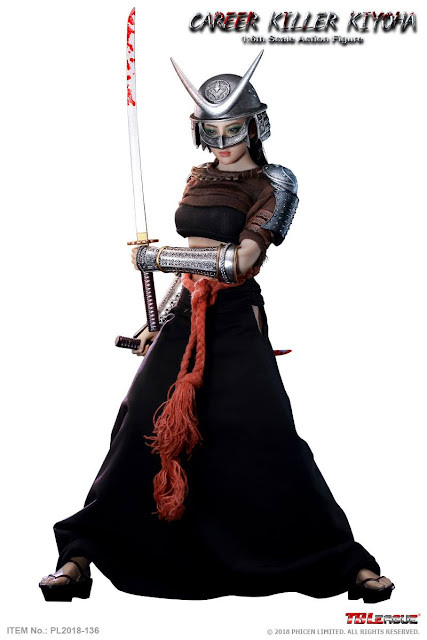 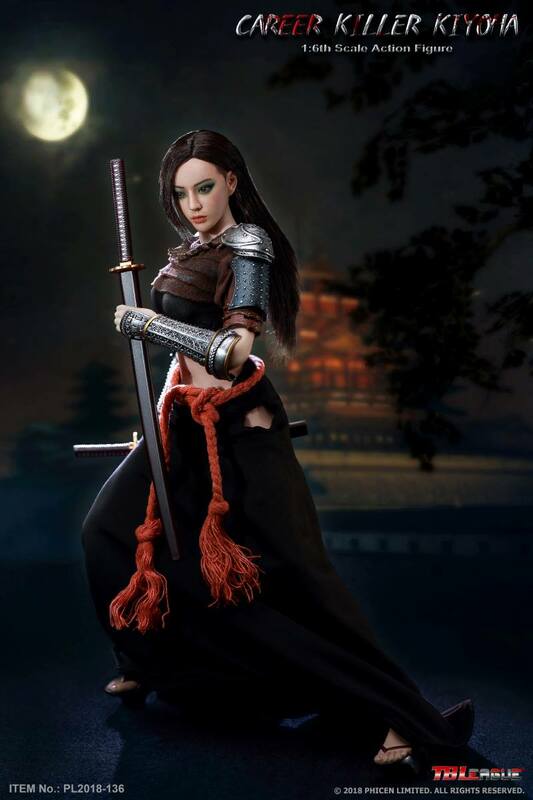 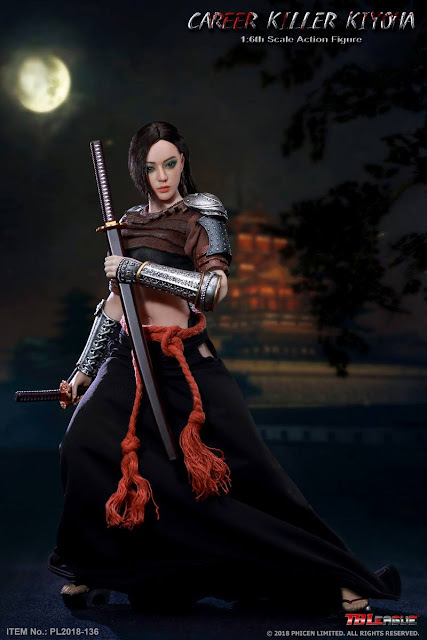 Anyone care to shed some light on which female character this figure is supposed to represent? Iron Fist (Daniel “Danny” Rand) is a fictional superhero appearing in American comic books published by Marvel Comics. 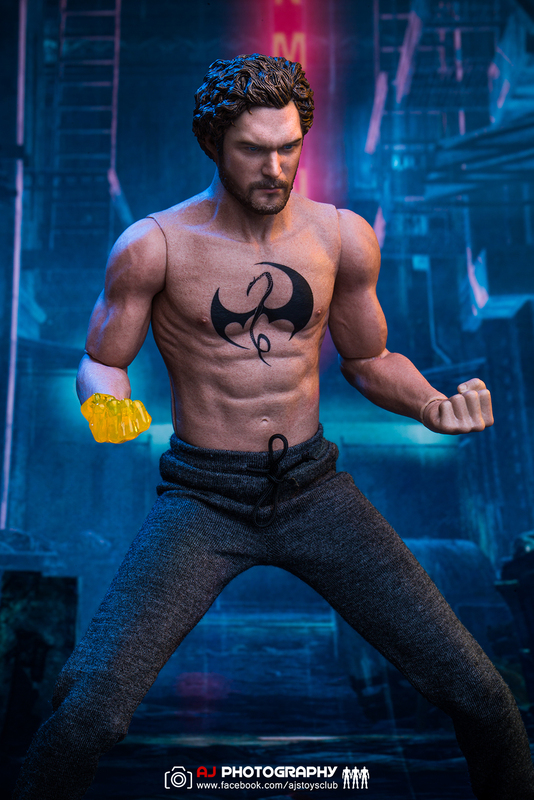 Created by Roy Thomas and Gil Kane, Iron Fist first appeared in Marvel Premiere #15 (May 1974). 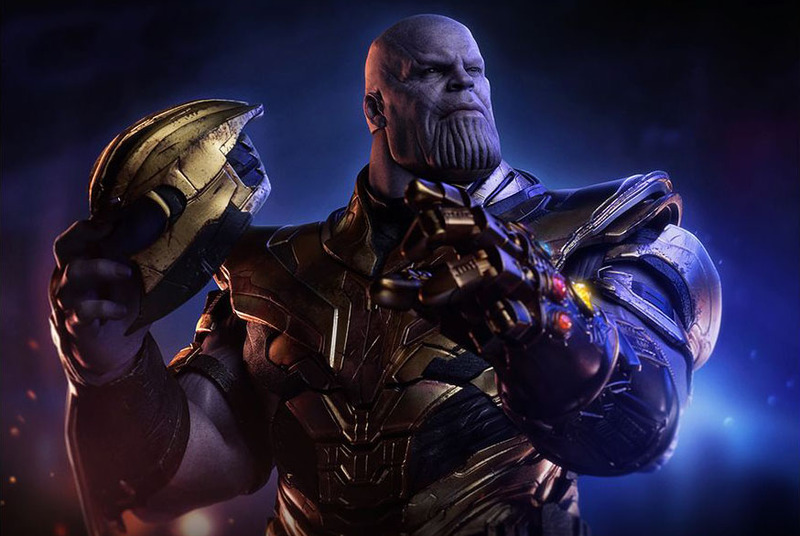 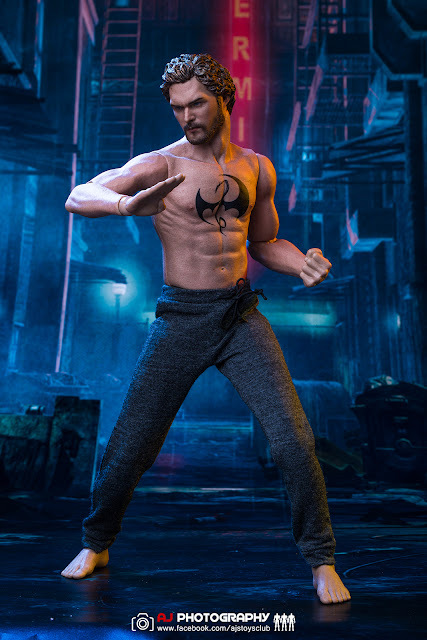 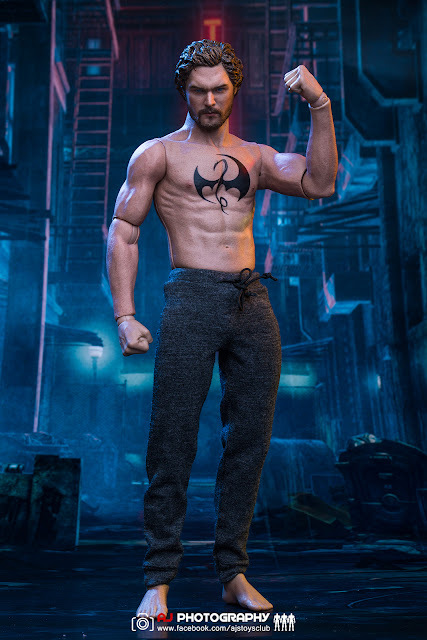 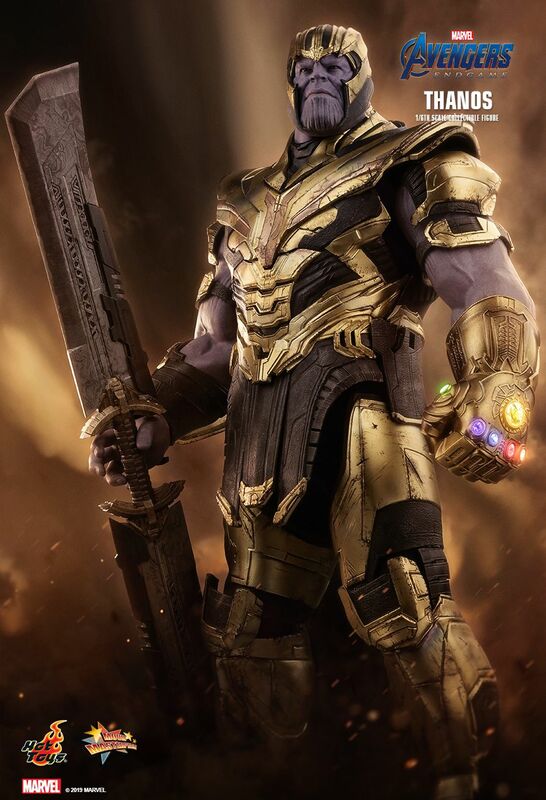 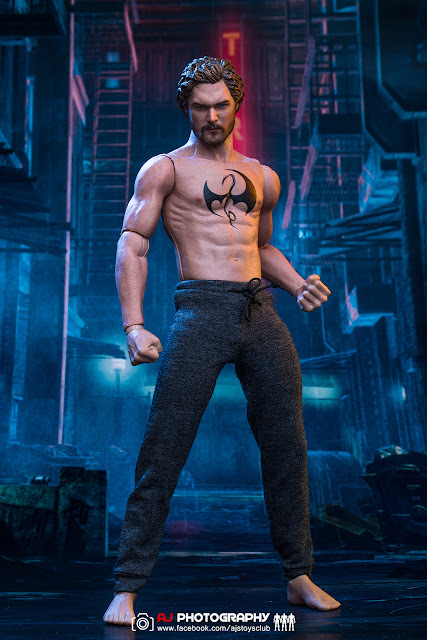 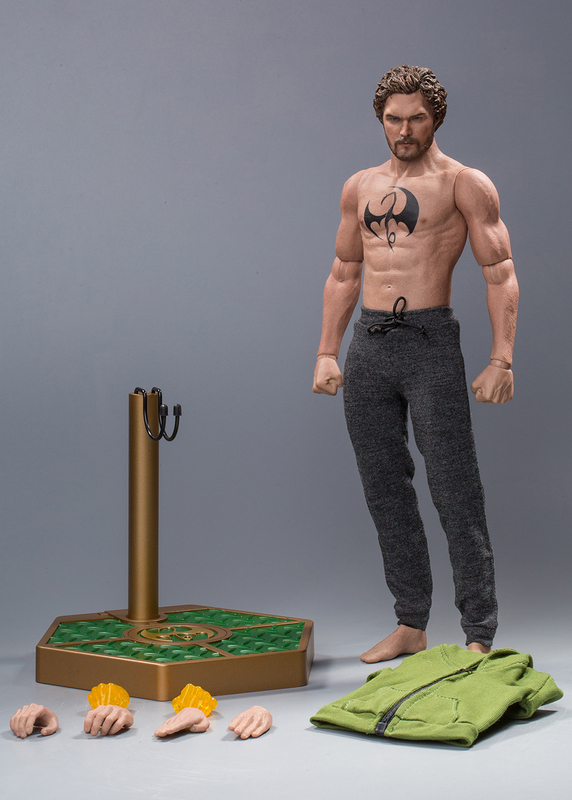 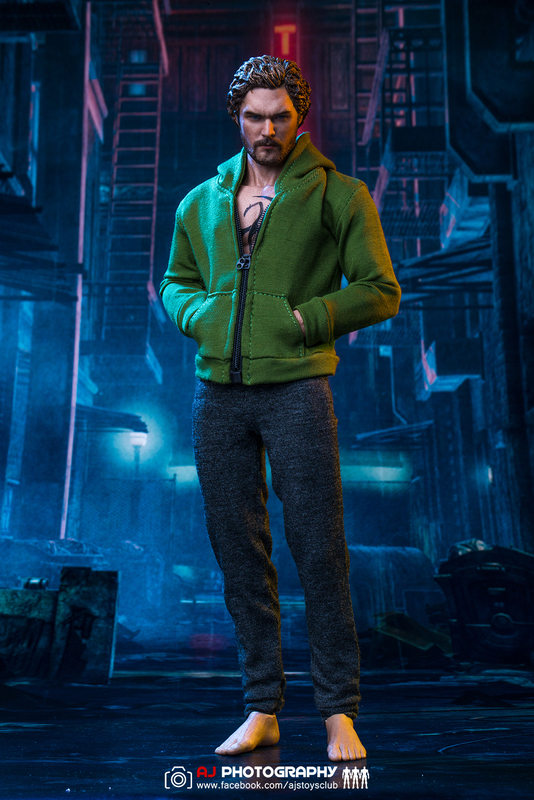 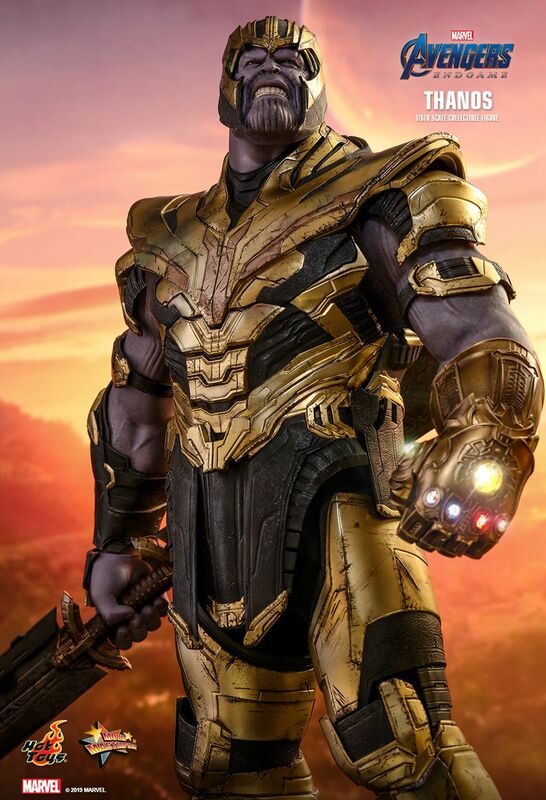 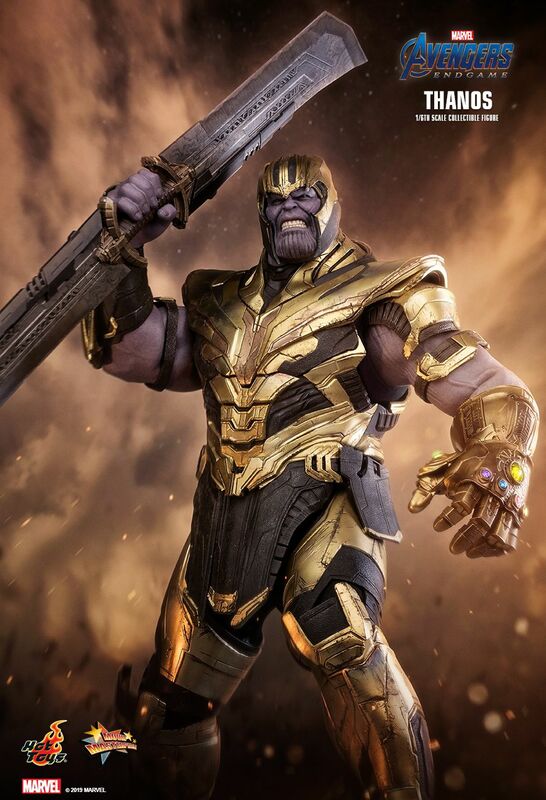 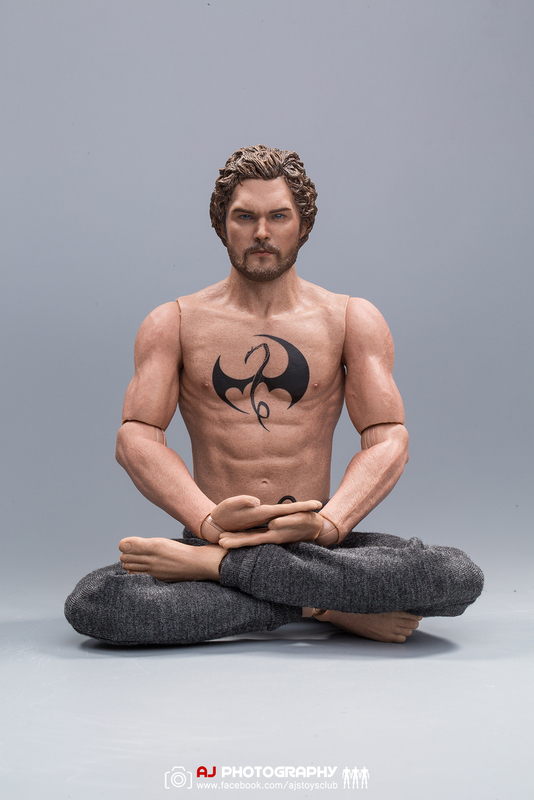 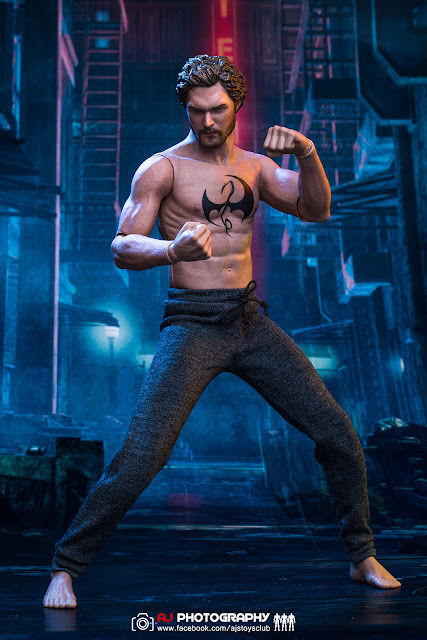 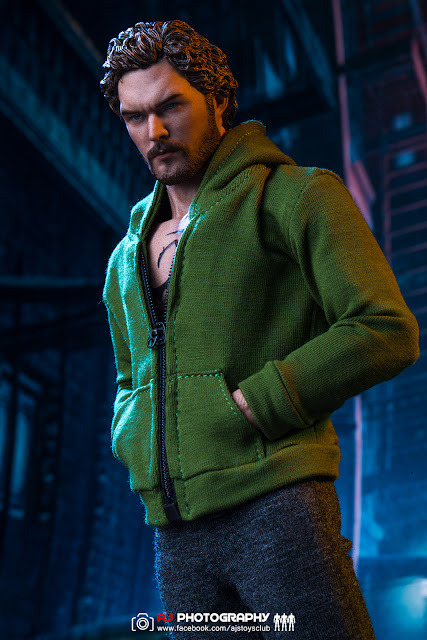 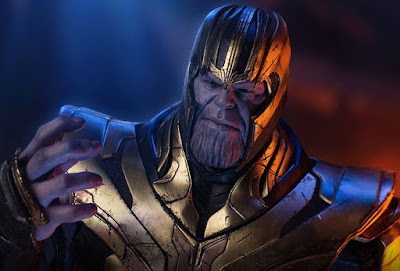 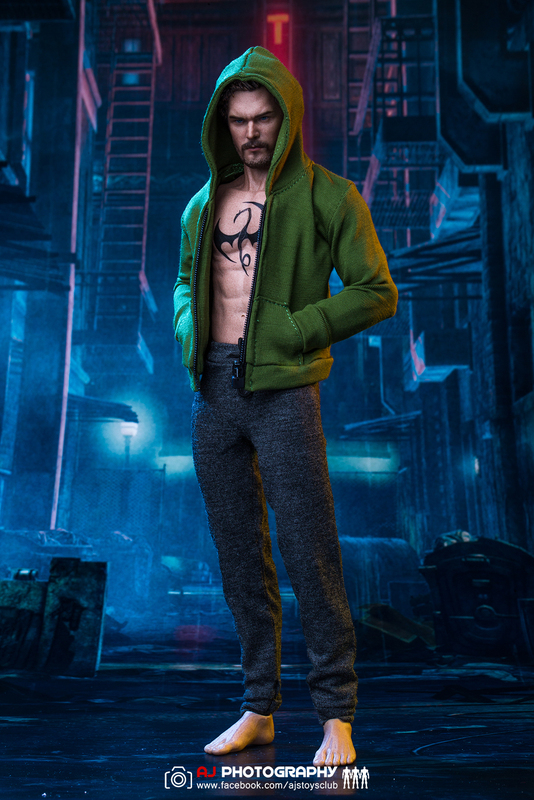 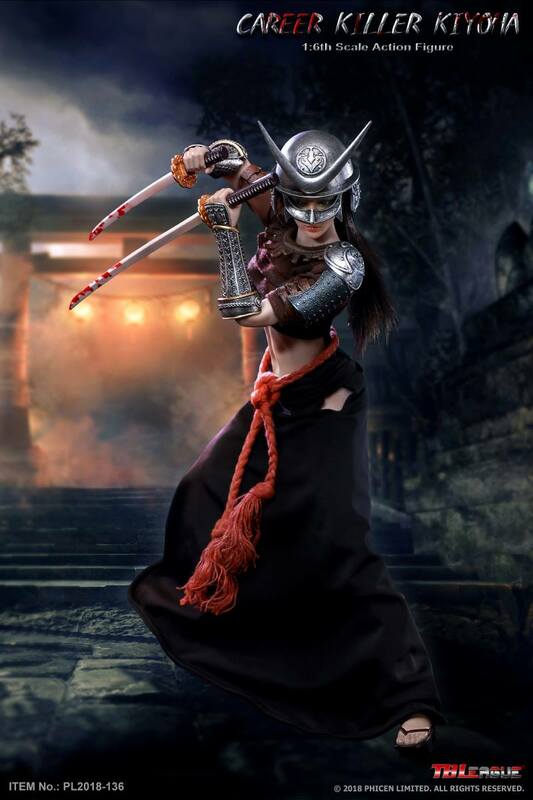 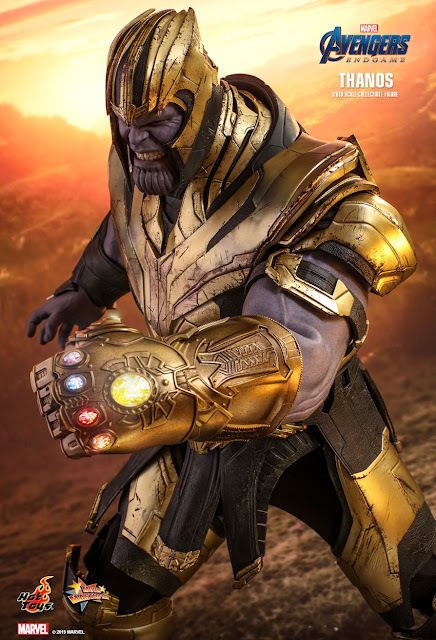 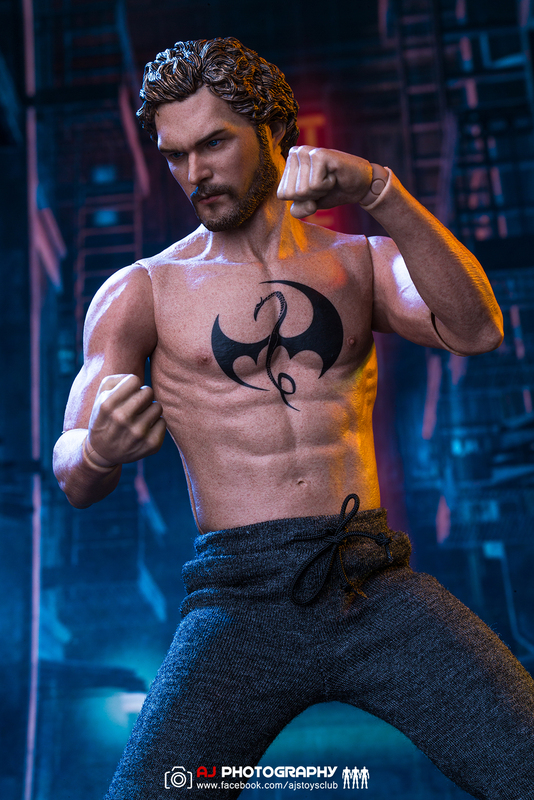 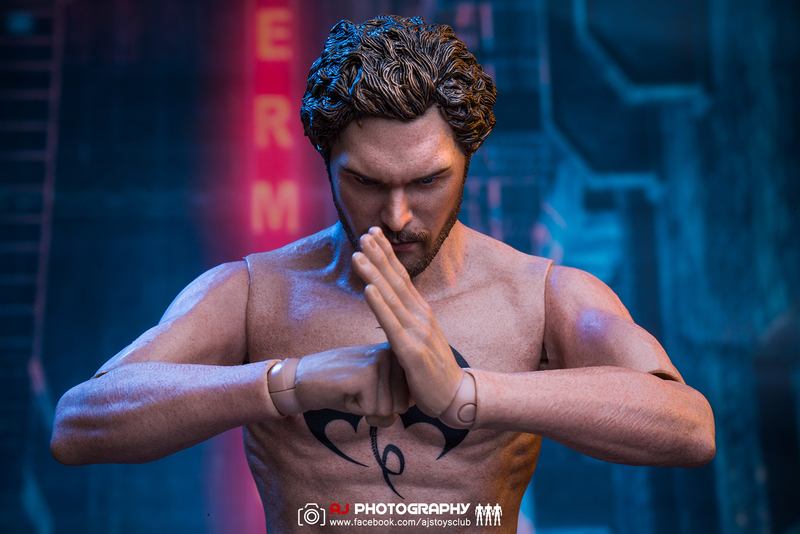 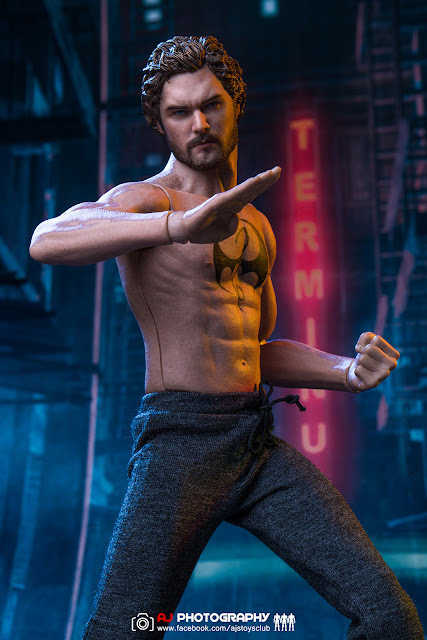 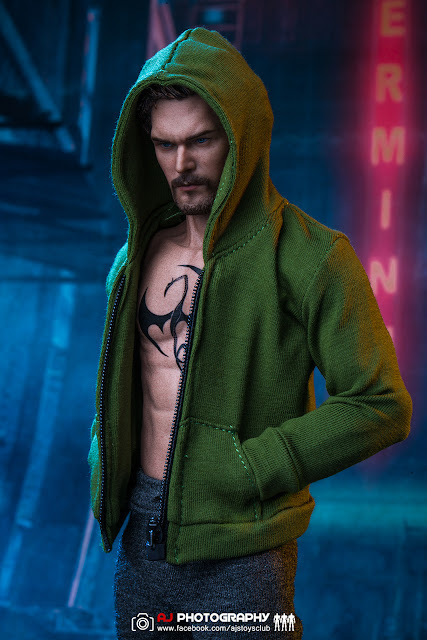 The character is a practitioner of martial arts and the wielder of a mystical force known as the Iron Fist, which allows him to summon and focus his chi. 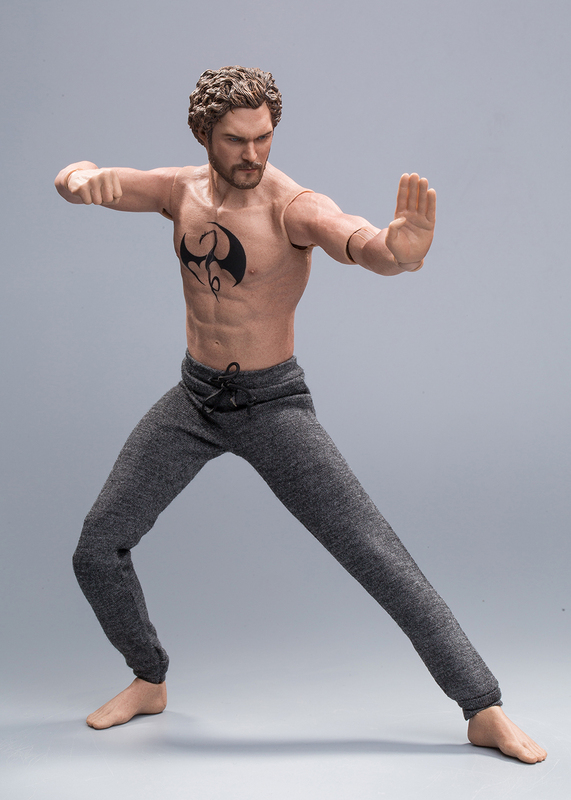 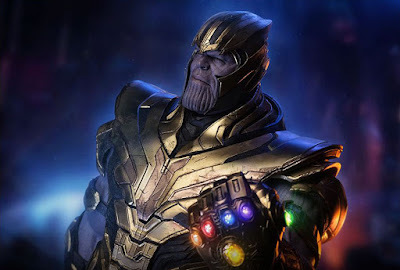 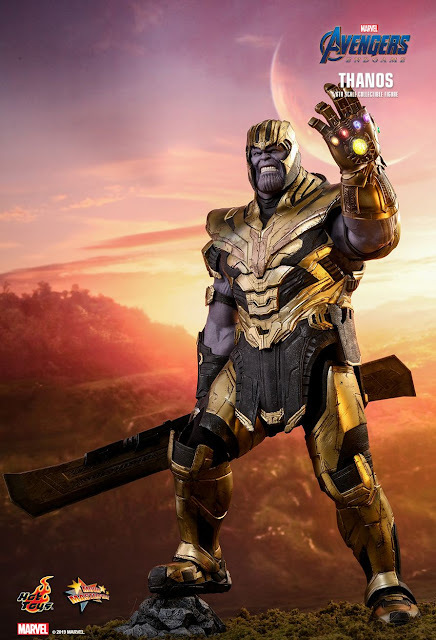 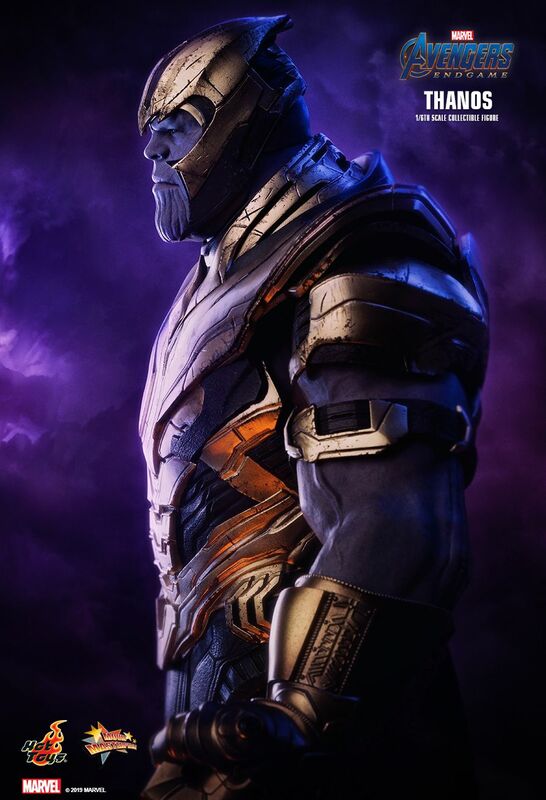 The character has starred in numerous solo titles since, including The Immortal Iron Fist, which expanded on his origin story and the history of the Iron Fist. 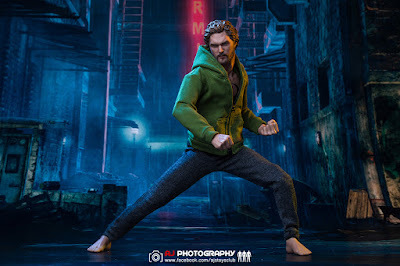 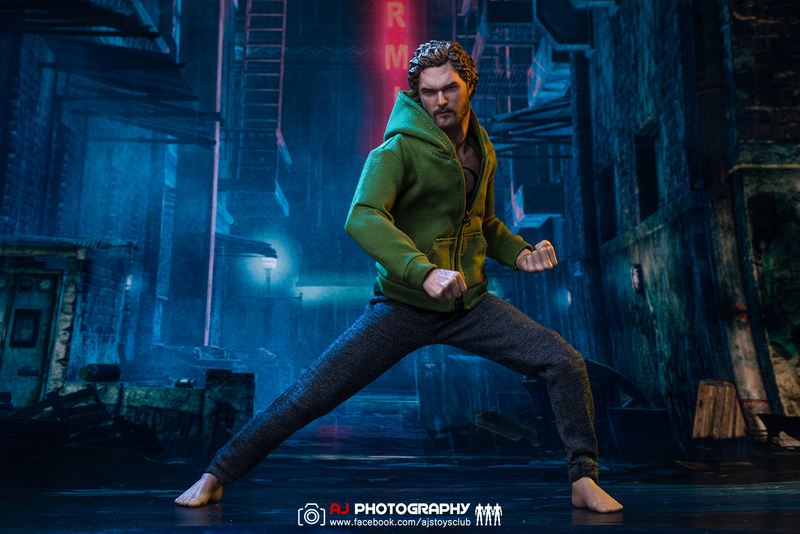 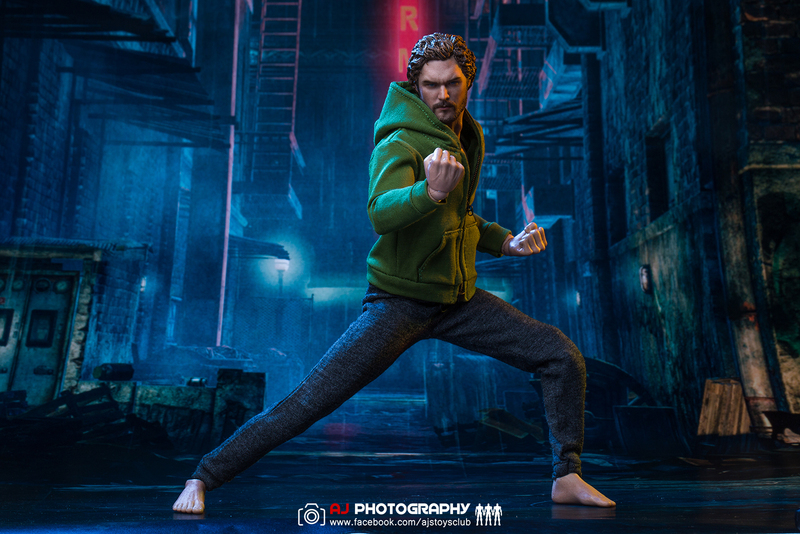 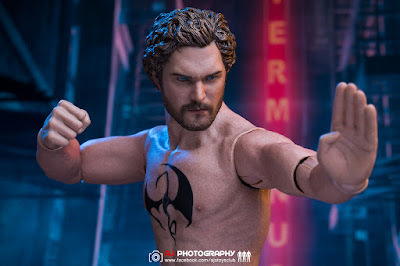 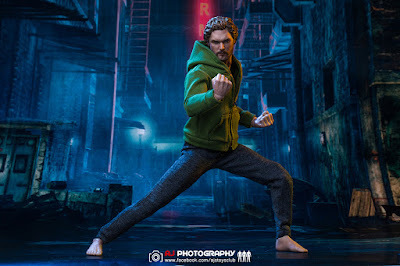 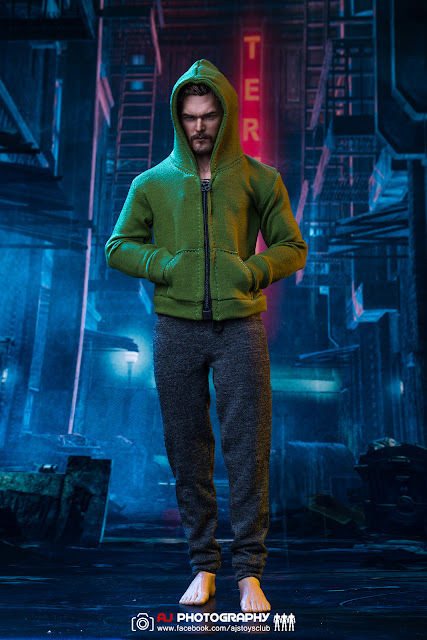 Finn Jones portrays the character in the Marvel Cinematic Universe live-action television series Iron Fist, The Defenders, and the second season of Luke Cage. 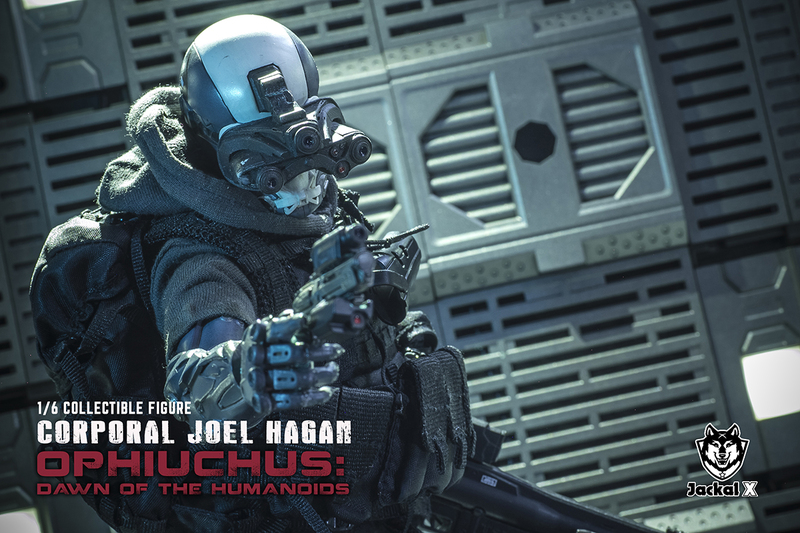 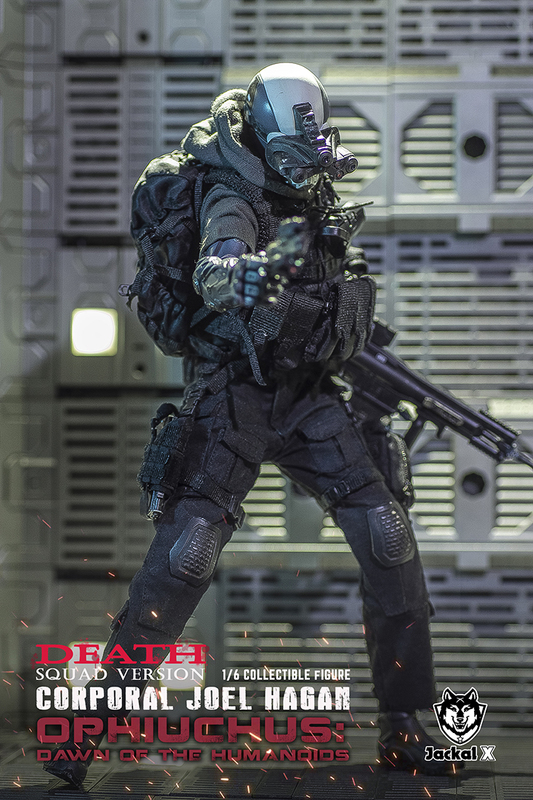 Joel was known to the police force as the 1st rookie to bring down a band of armed savages. 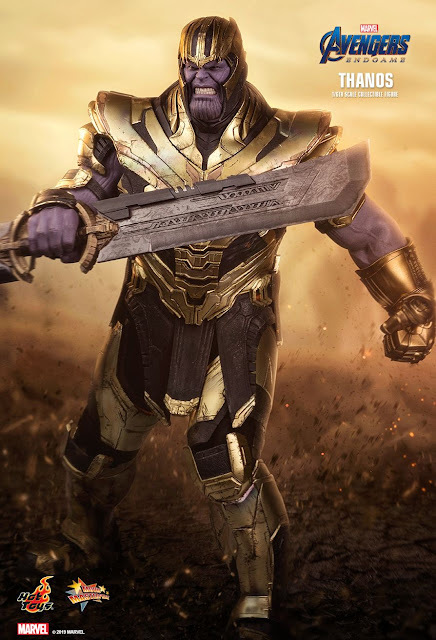 A total of 17 savages were killed. 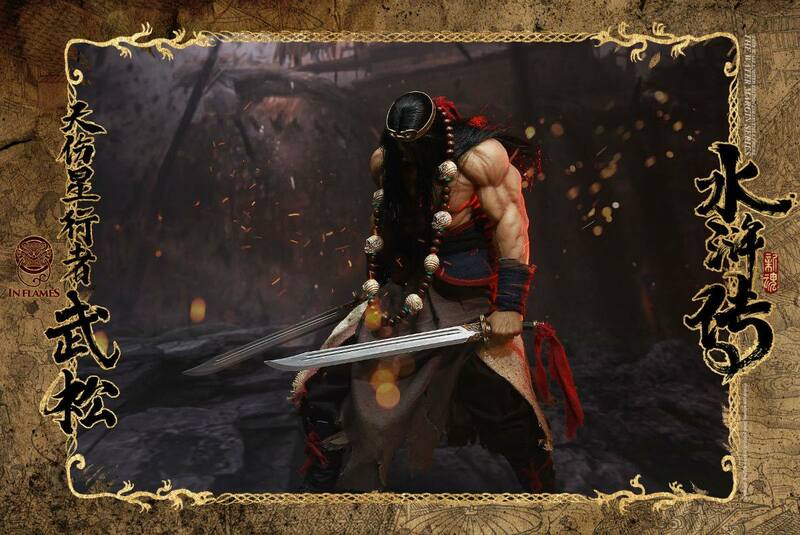 The remaining 5 were wounded and captured. In the process, Joel was also critically injured while trying to save an innocent civilian from a grenade explosion. 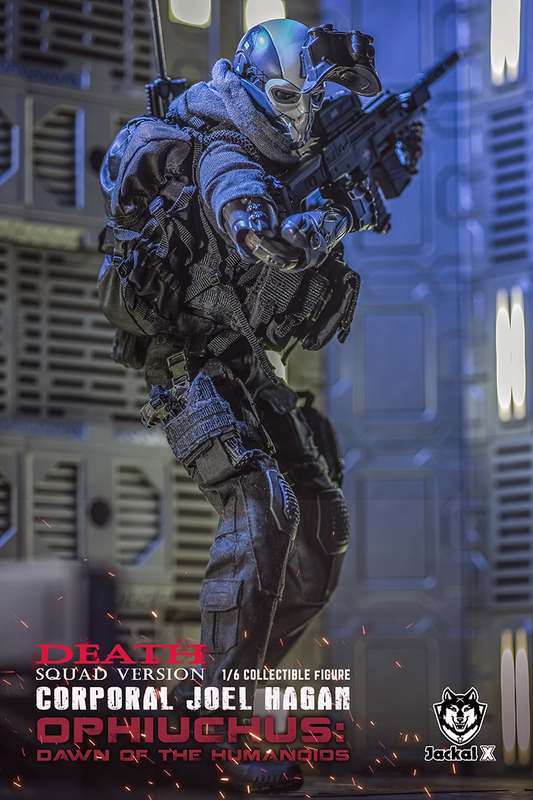 Unfortunately, the explosion killed the civilian and the shrapnel blasted through both of his arms. 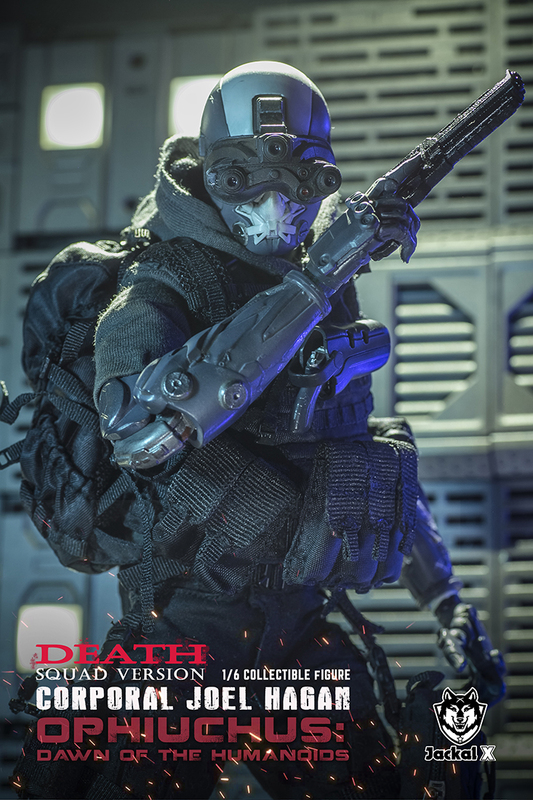 The arms injury were so critically severe at that time that no medical expertise was able to save it. 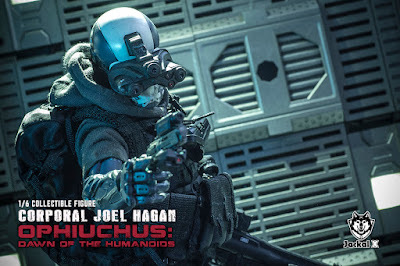 As the result, Joel’s arms have to be amputated to prevent dangerous virus infection that would have been life threatening. 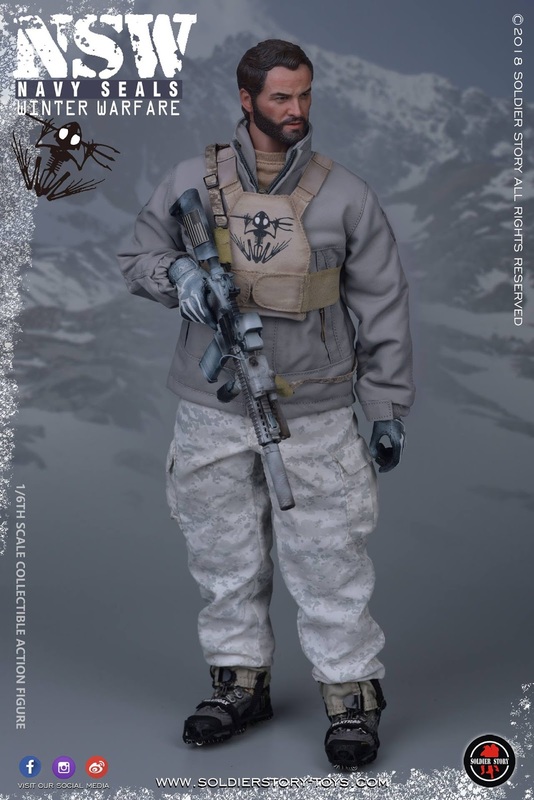 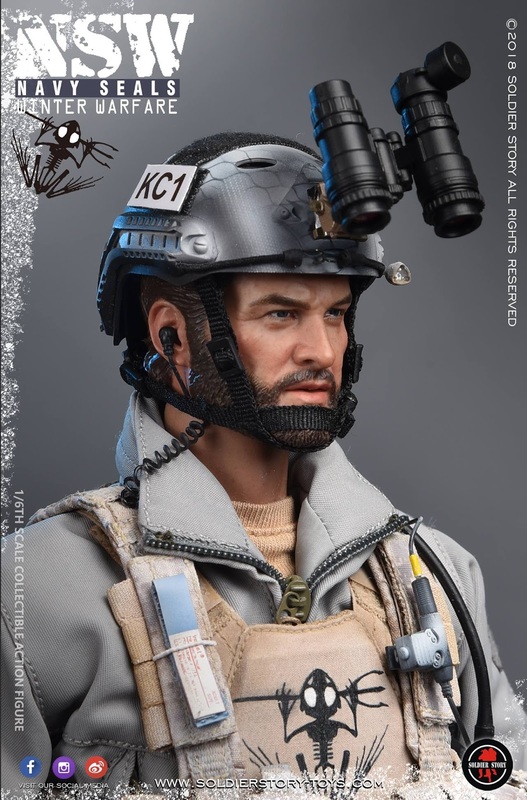 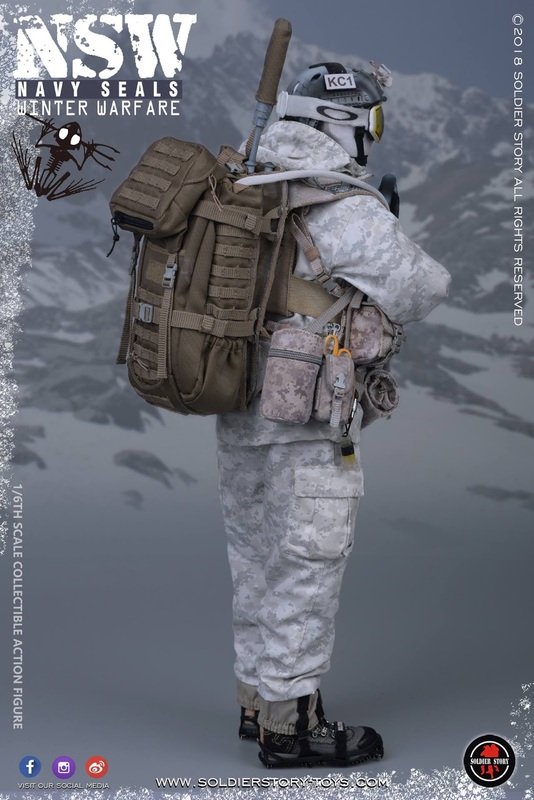 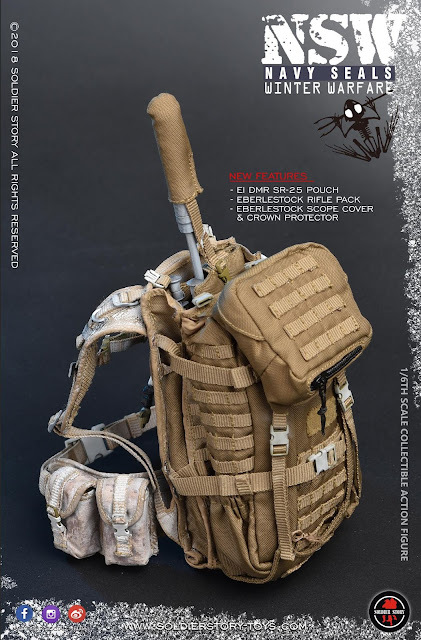 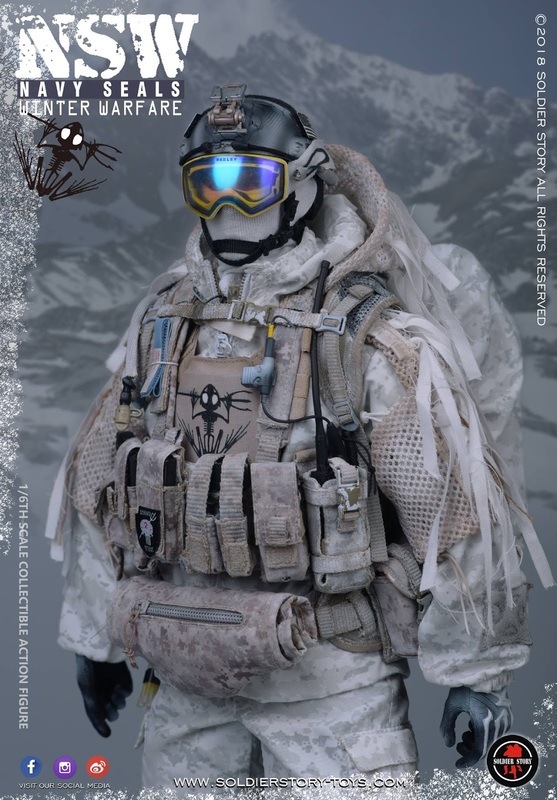 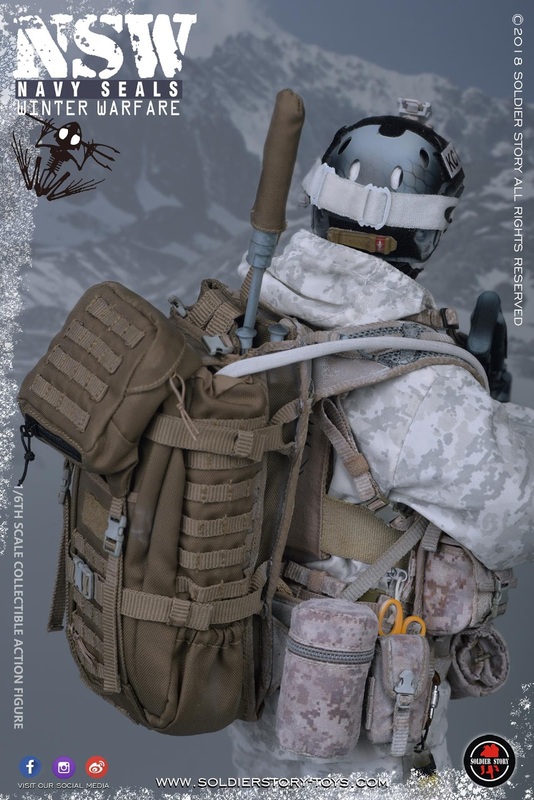 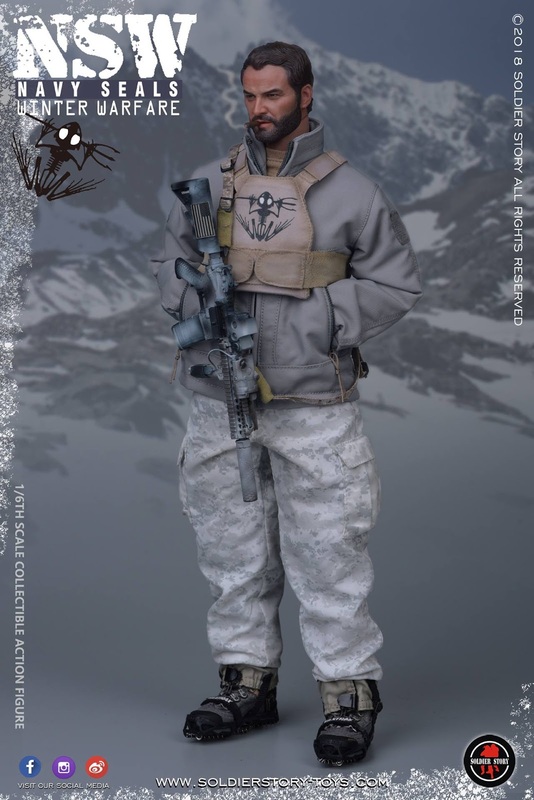 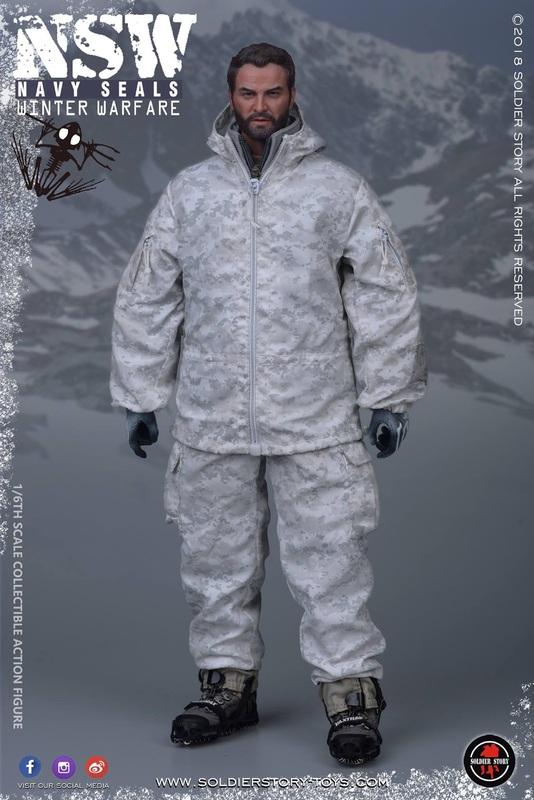 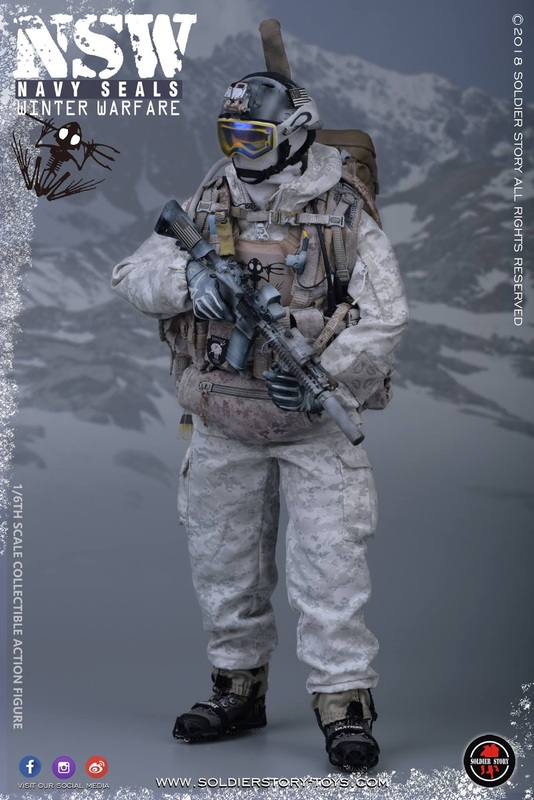 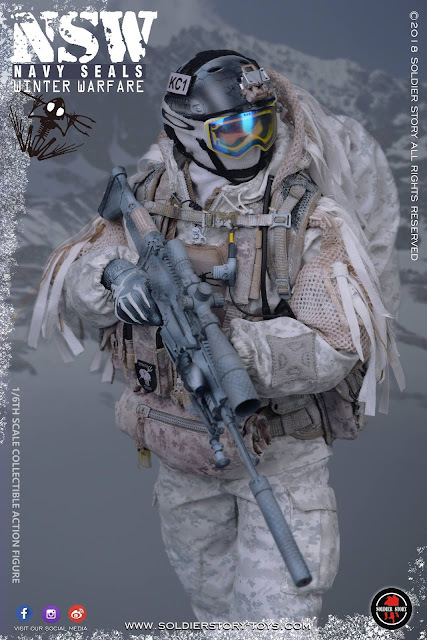 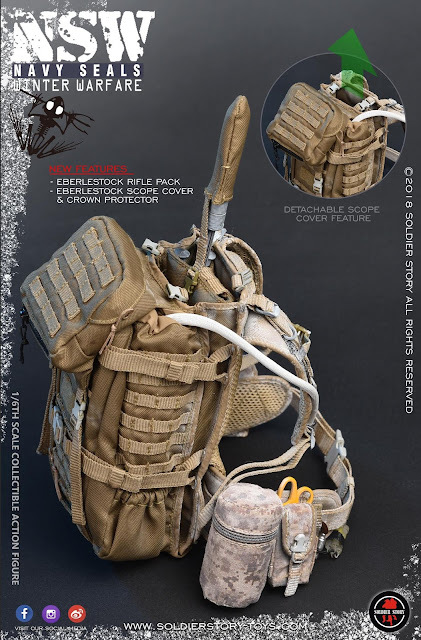 The United States Naval Special Warfare Development Group (NSWDG), commonly known as DEVGRU or SEAL Team Six, is the U.S. Navy component of the Joint Special Operations Command. 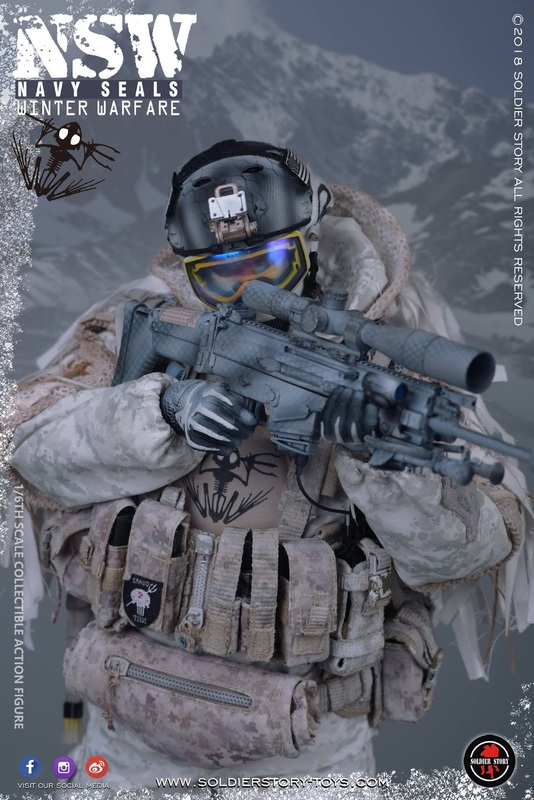 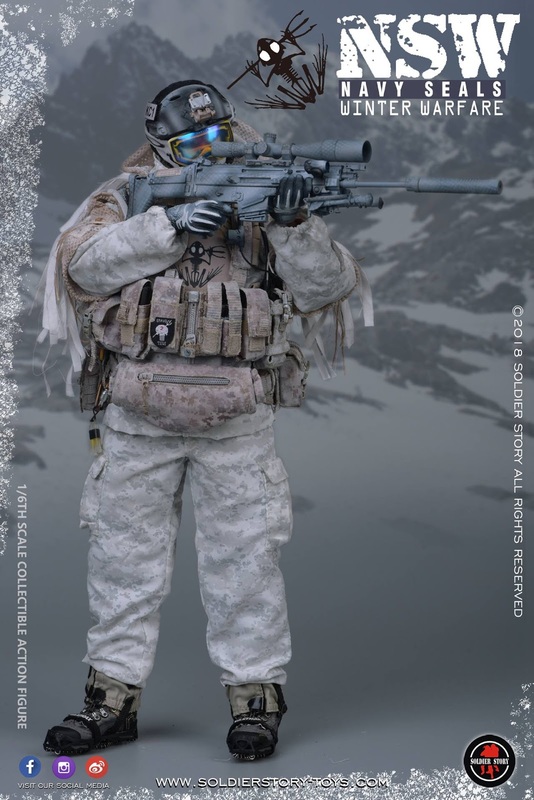 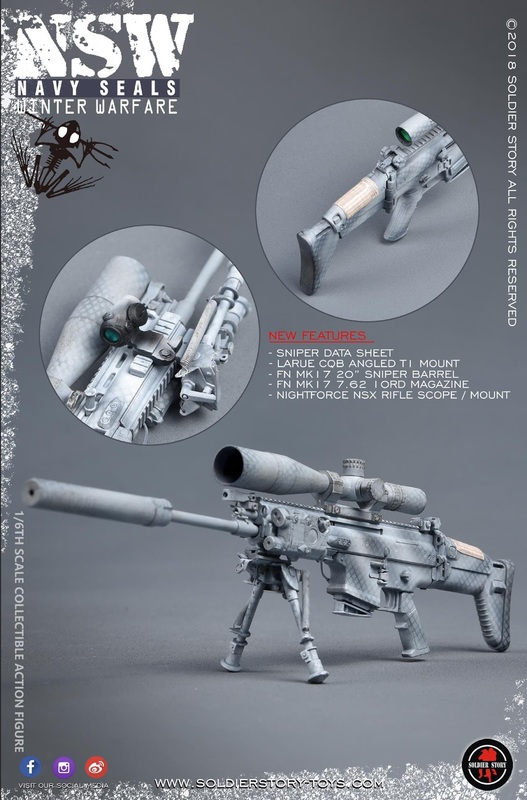 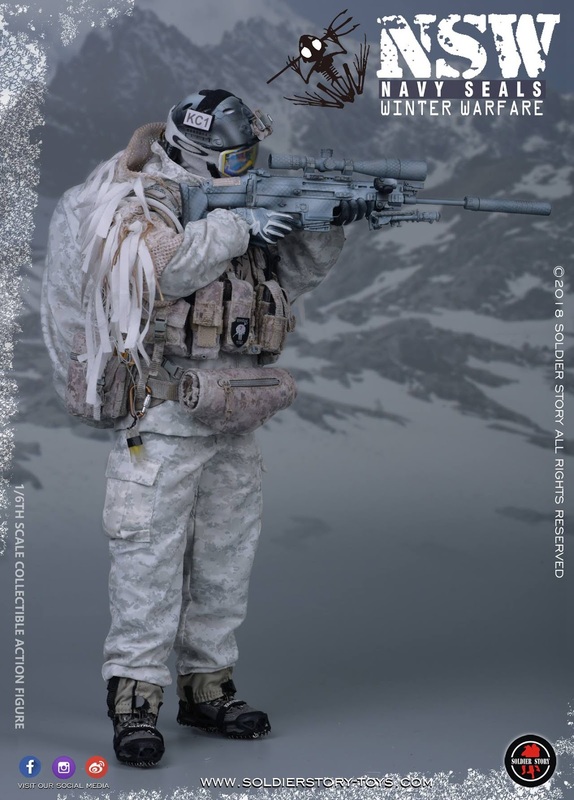 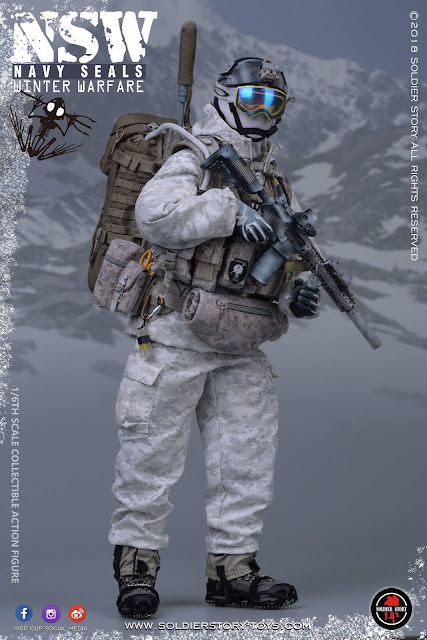 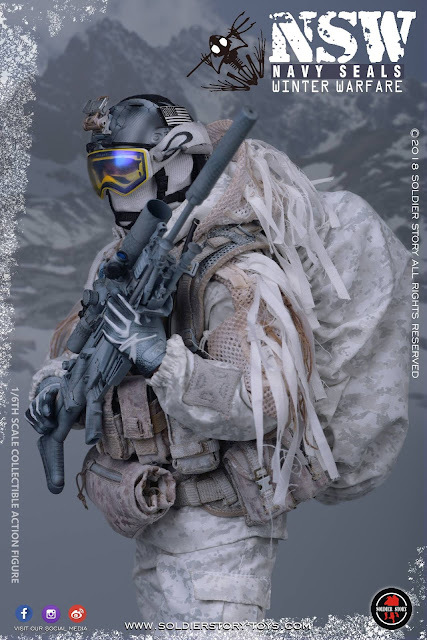 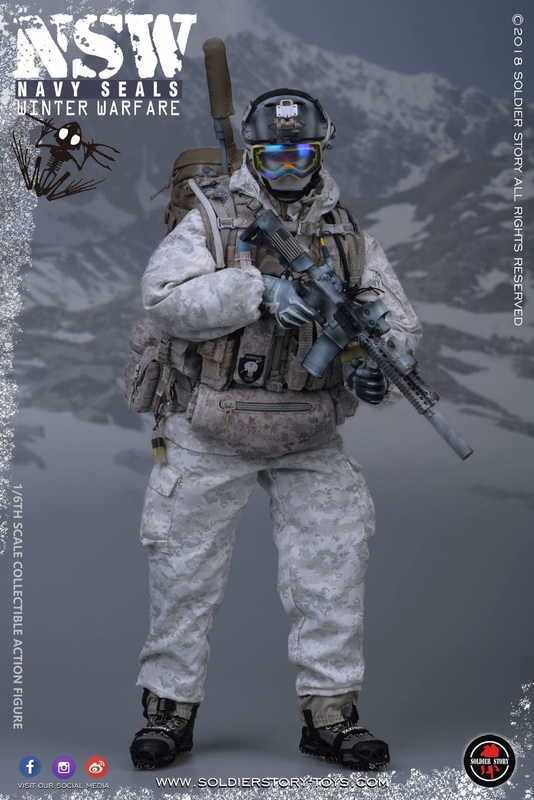 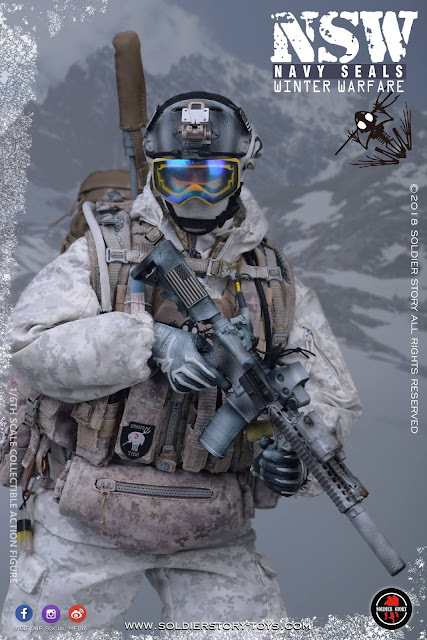 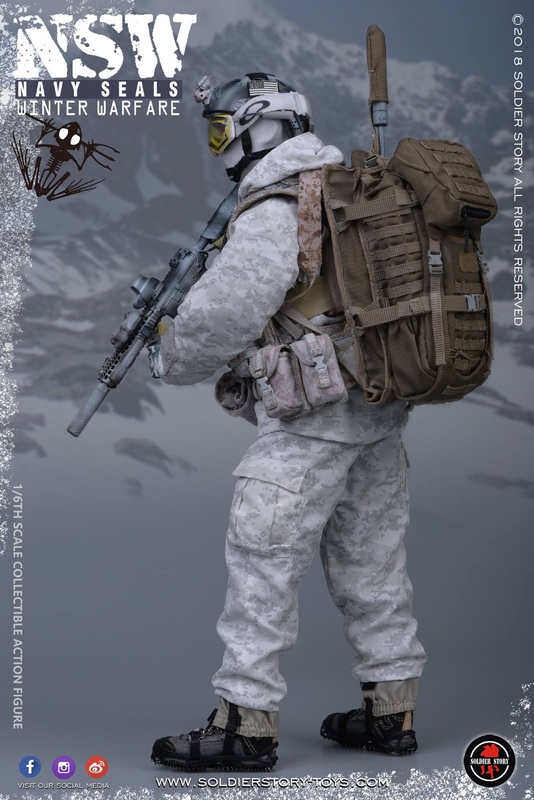 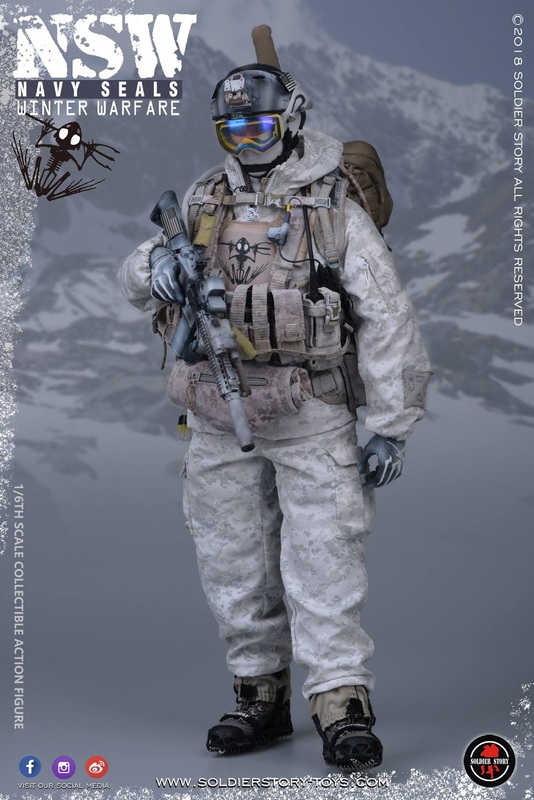 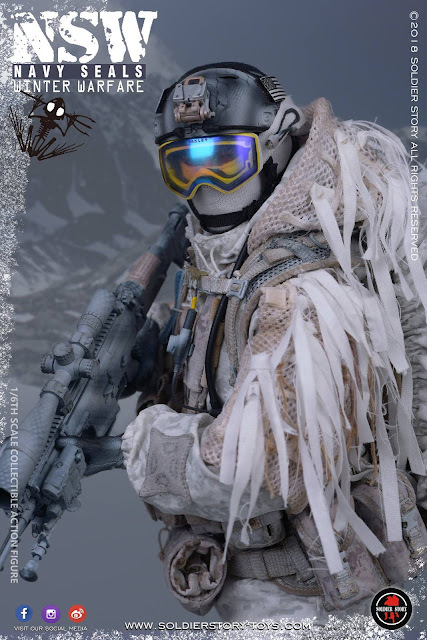 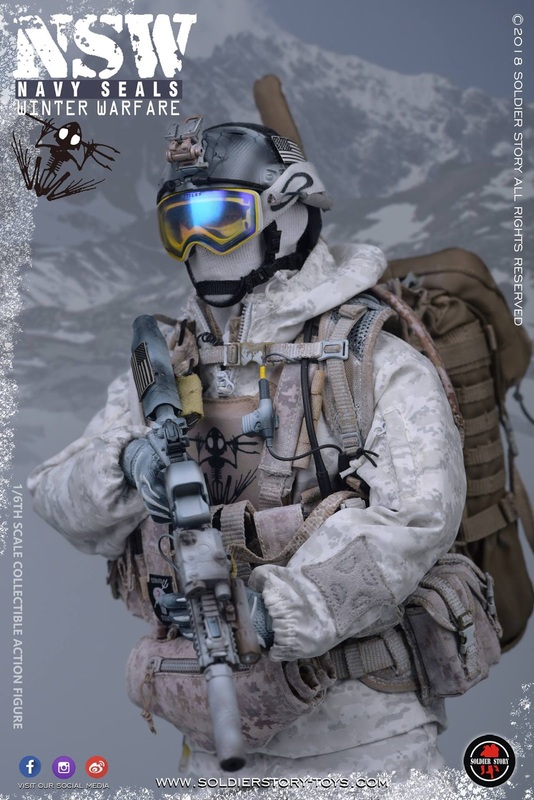 It is often referred to within JSOC as Task Force Blue. 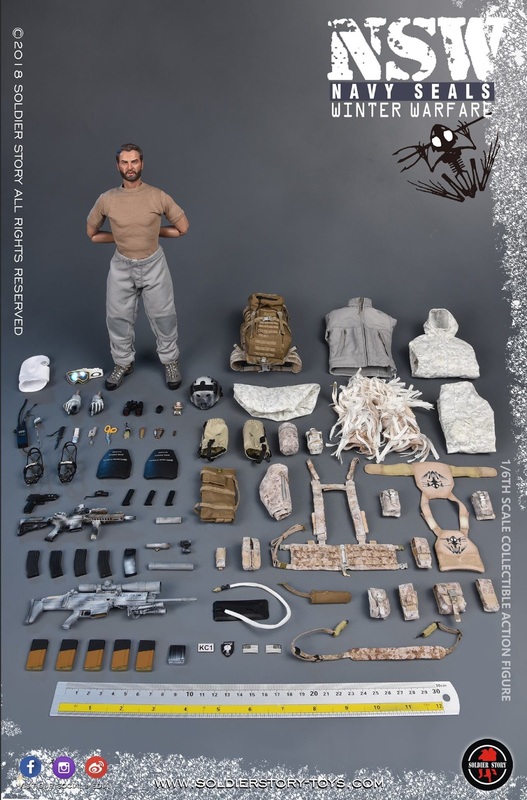 DEVGRU is administratively supported by Naval Special Warfare Command and operationally commanded by the Joint Special Operations Command. 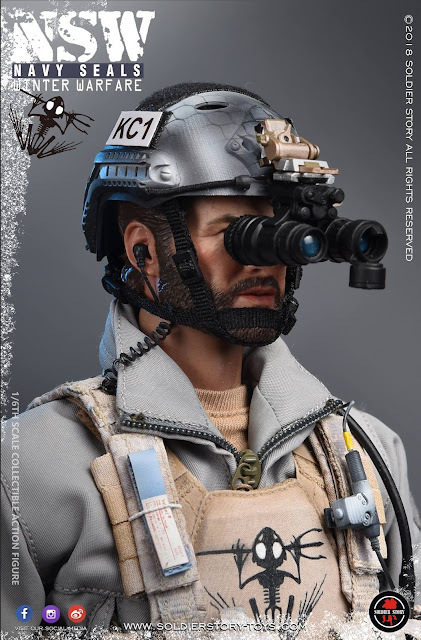 Despite the official name changes, “SEAL Team Six” remains the unit’s widely recognized moniker. It is sometimes referred to in the U.S. media as a Special Mission Unit. 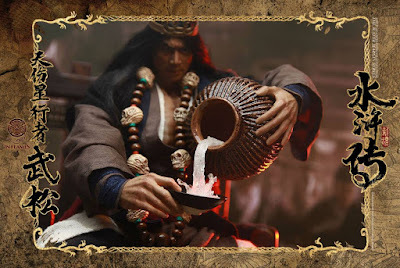 Wu Song, nicknamed “Pilgrim”, is a fictional character in Water Margin, one of the Four Great Classical Novels of Chinese literature. 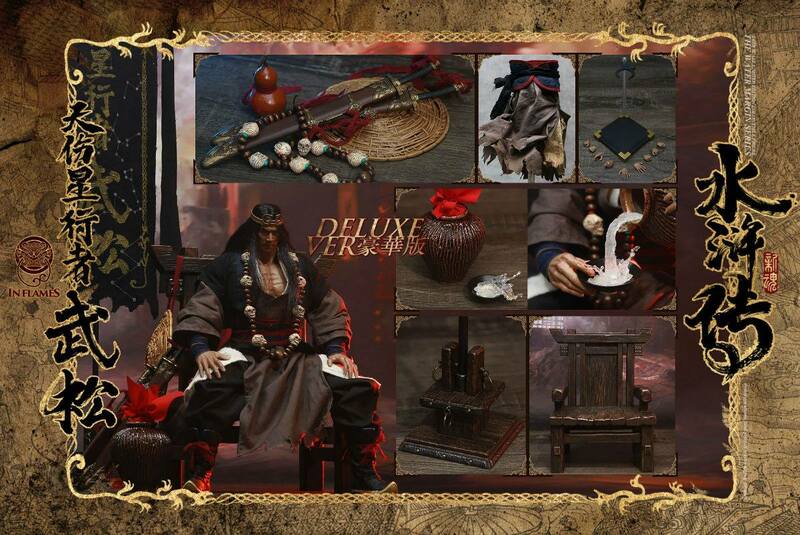 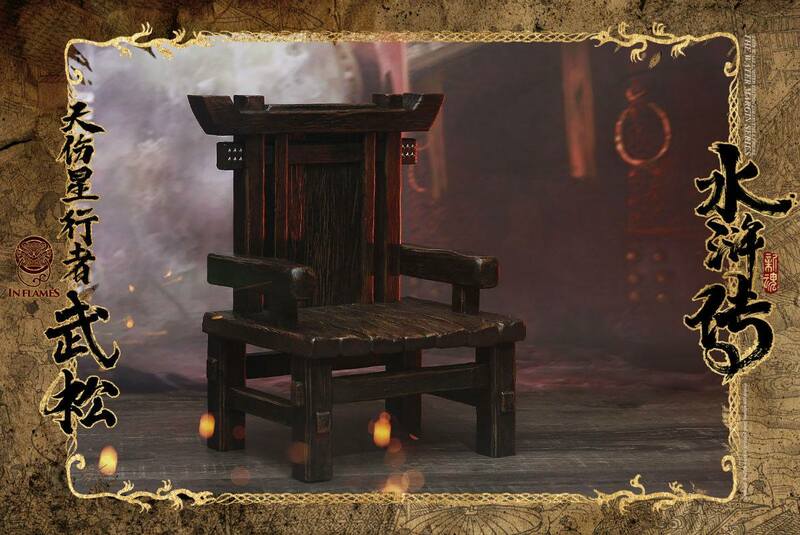 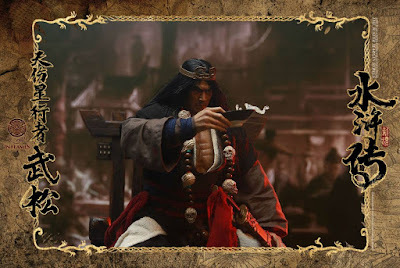 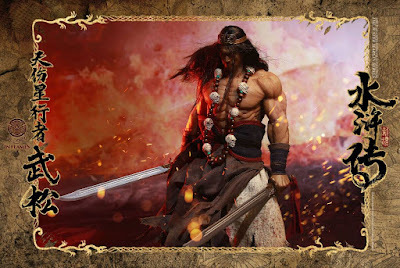 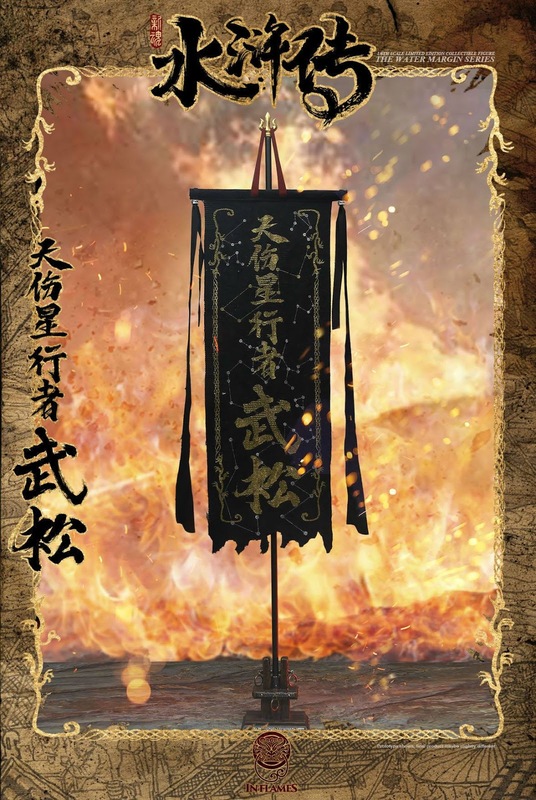 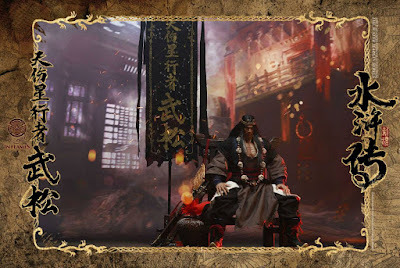 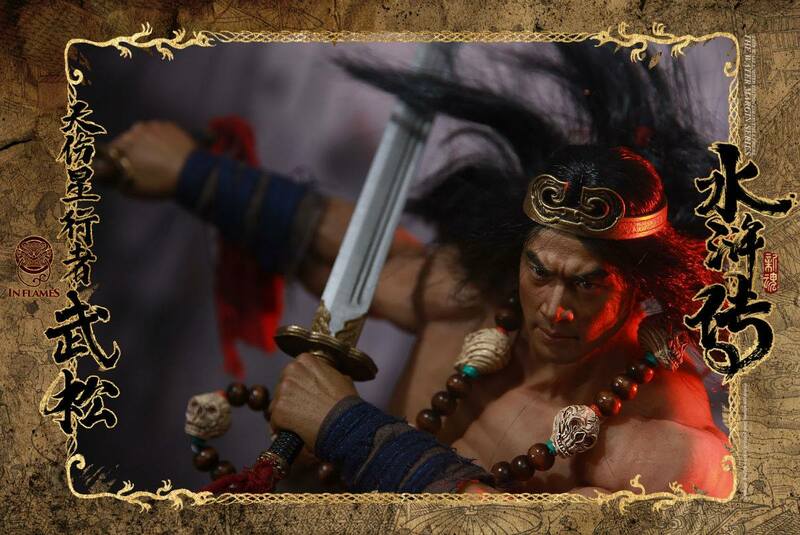 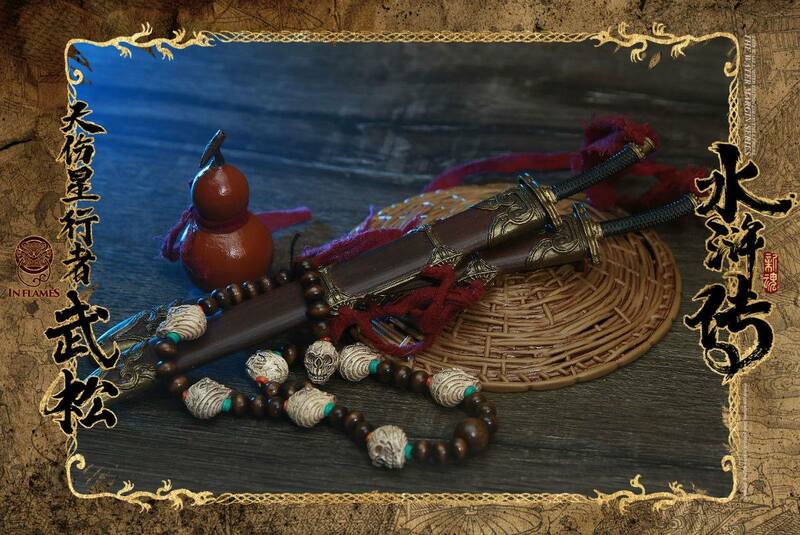 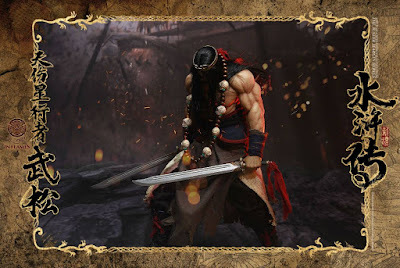 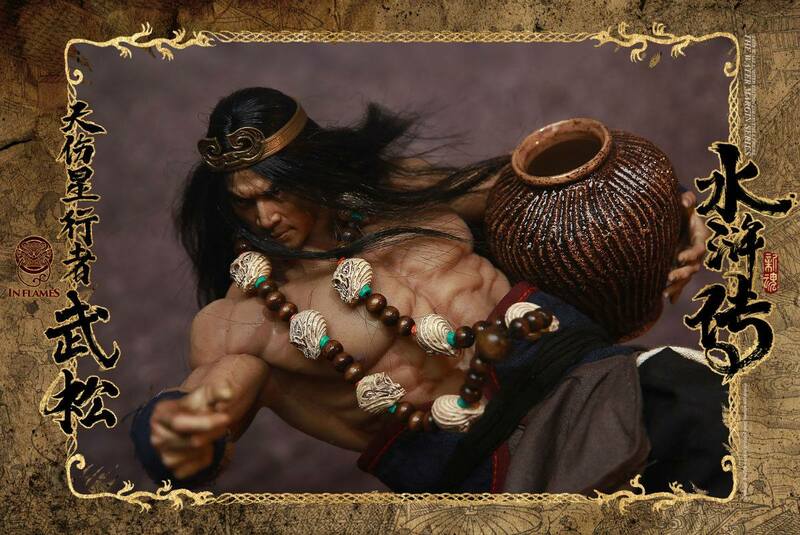 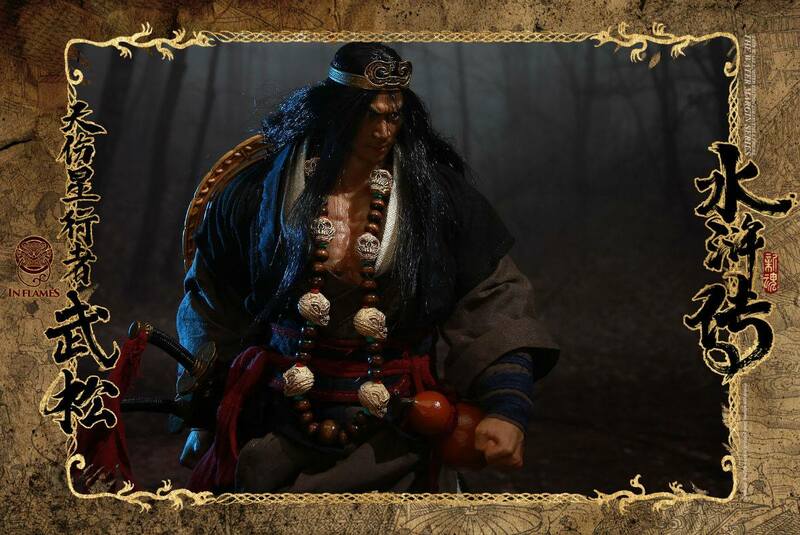 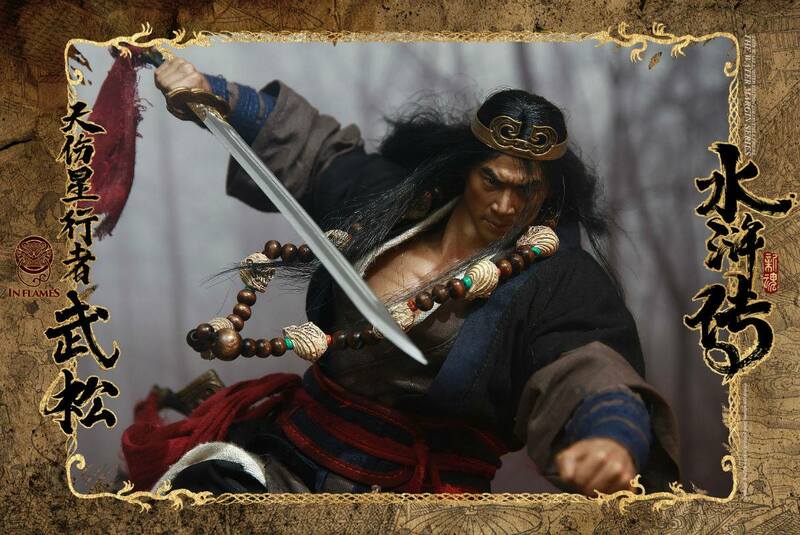 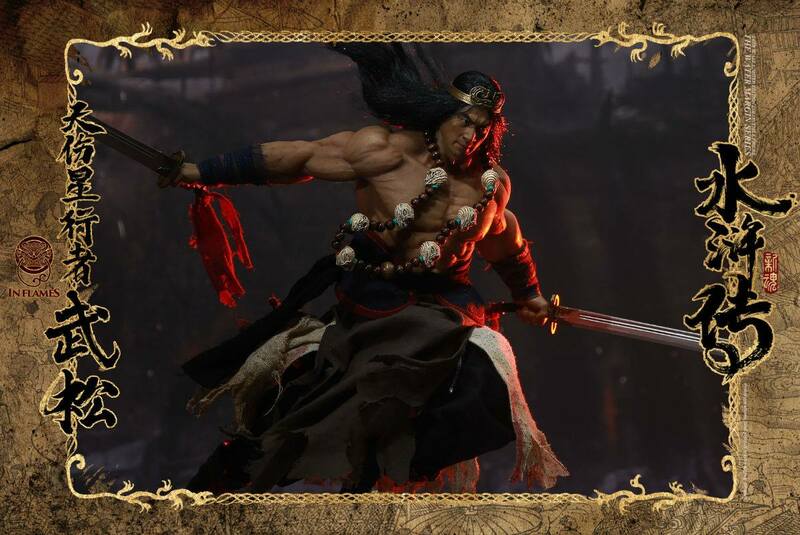 According to legend, Wu Song was a student of the archer Zhou Tong and he specialised in Chuojiao, Ditangquan, and the use of the staff. 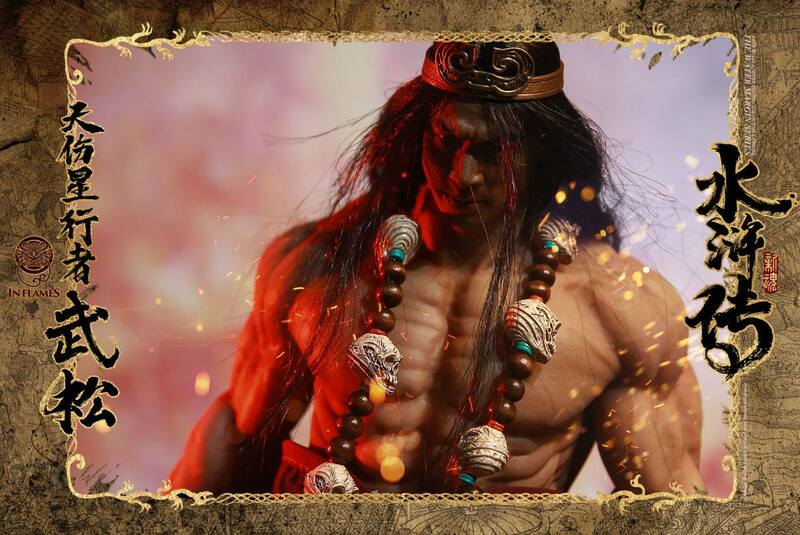 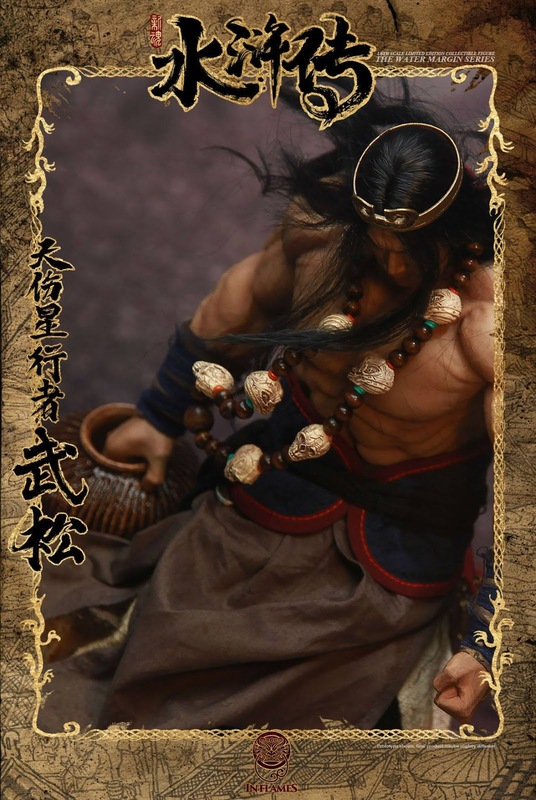 The novel describes him as a good-looking man with shining eyes, thick eyebrows, a muscular body and an impressive bearing. 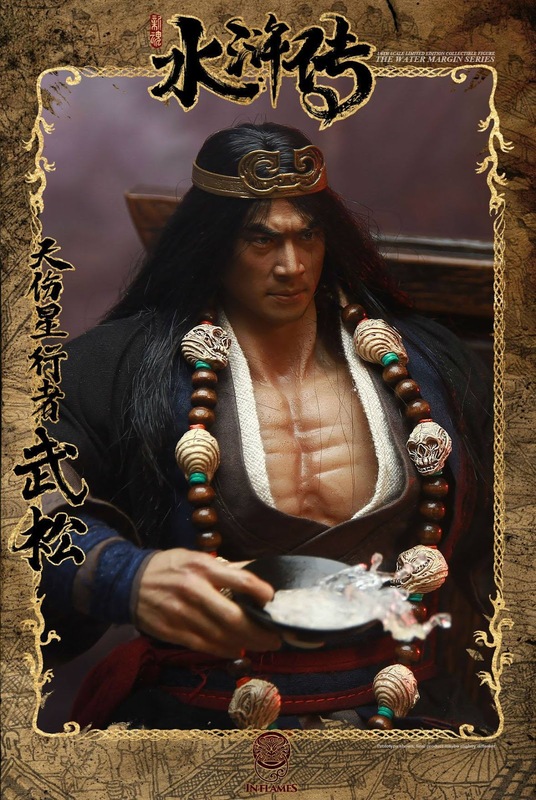 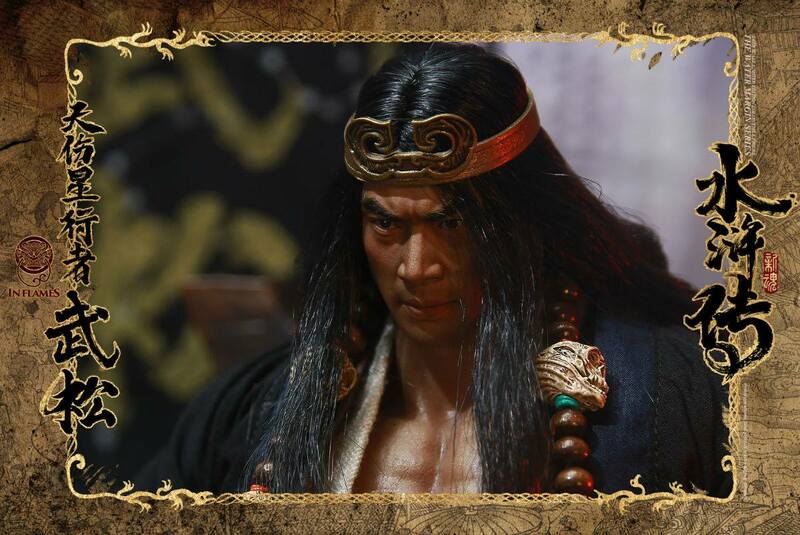 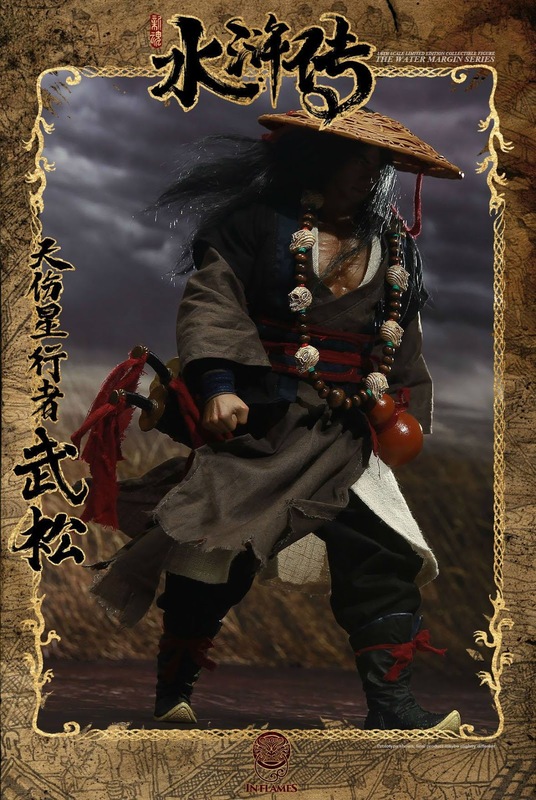 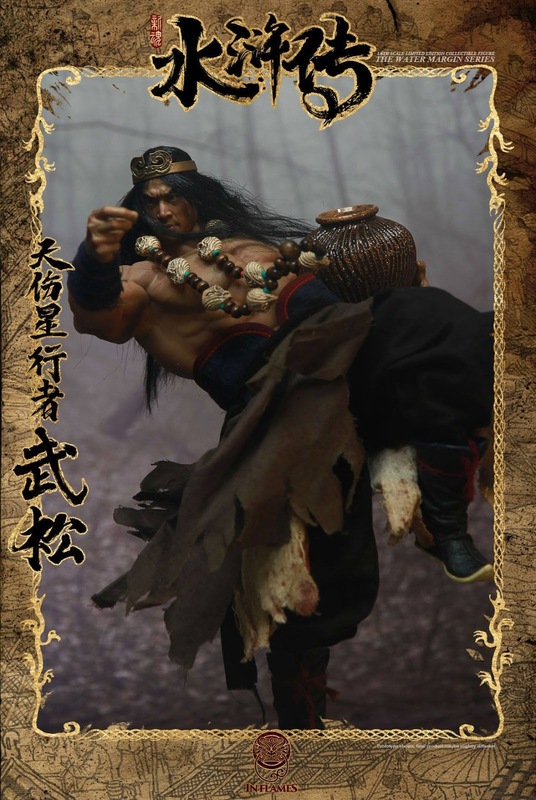 His parents died early, and he was raised by his elder brother, Wu Dalang (武大郎; literally “Eldest Brother Wu”). 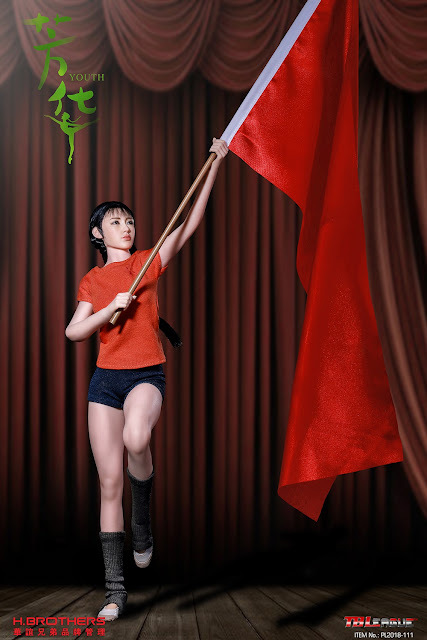 Directed by famous film maker Feng Xiaogang, Youth focuses on some characters in the prime of their lives who are from a dance troupe in the early 1970s, and tells stories of their love and capricious fates. 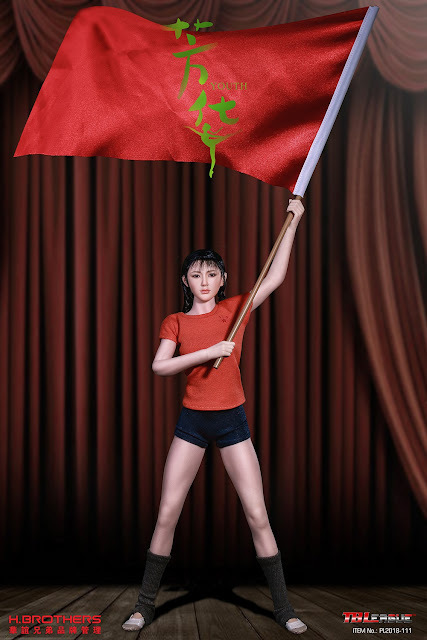 He Xiaoping who faces discrimination because of a family scandal. She hopes to start over in a new place, but finds that the shame has followed her to Chengdu. 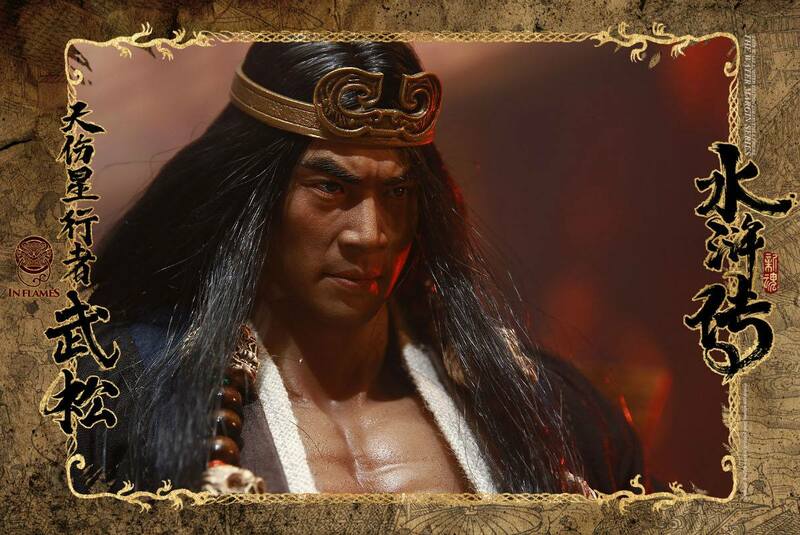 Liu Feng is well-liked within the group but he has unrequited crush on the lead solo Lin Dingding. 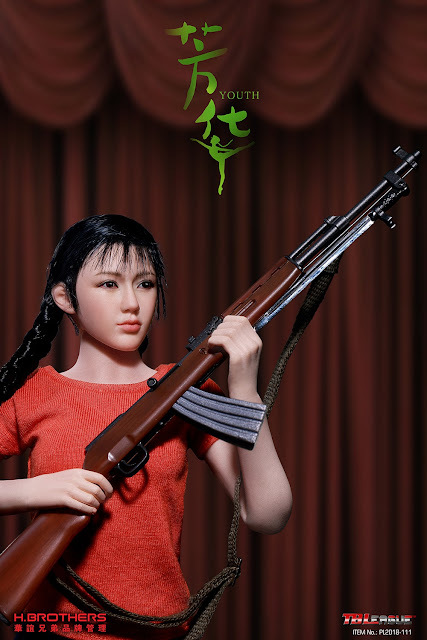 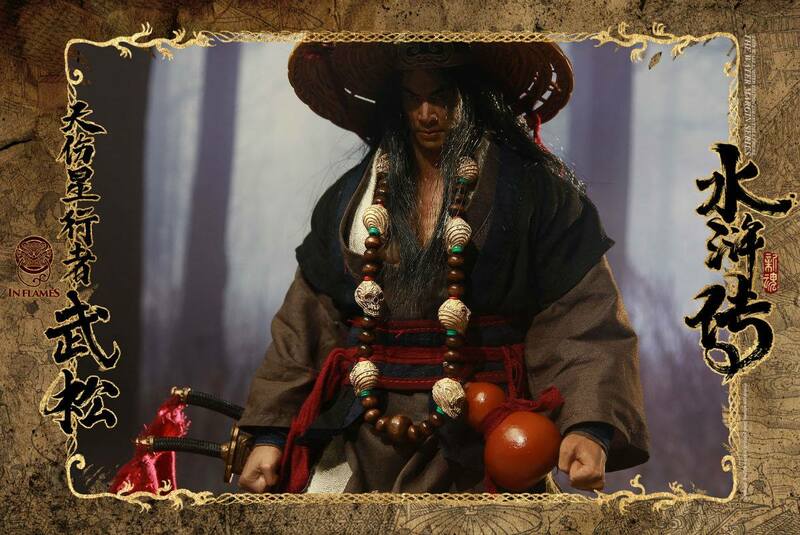 Liu Feng experiences the pain of rejection and is expelled from the group when he makes an unwelcomed advance on her. 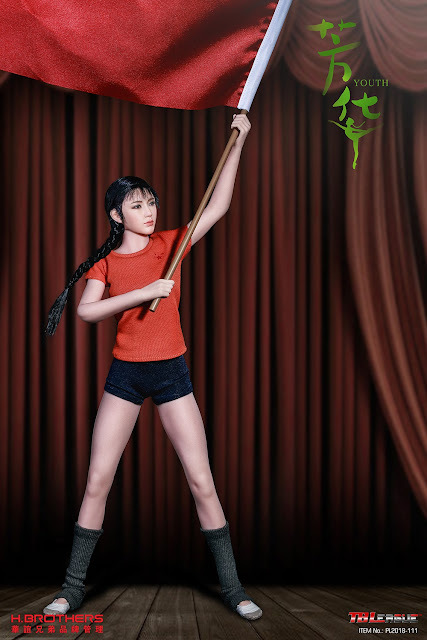 He Xiaoping is heartbroken because she had secret feelings for Liu Feng…Each of the members of the art troupe all learn lessons in this coming-of-age story. 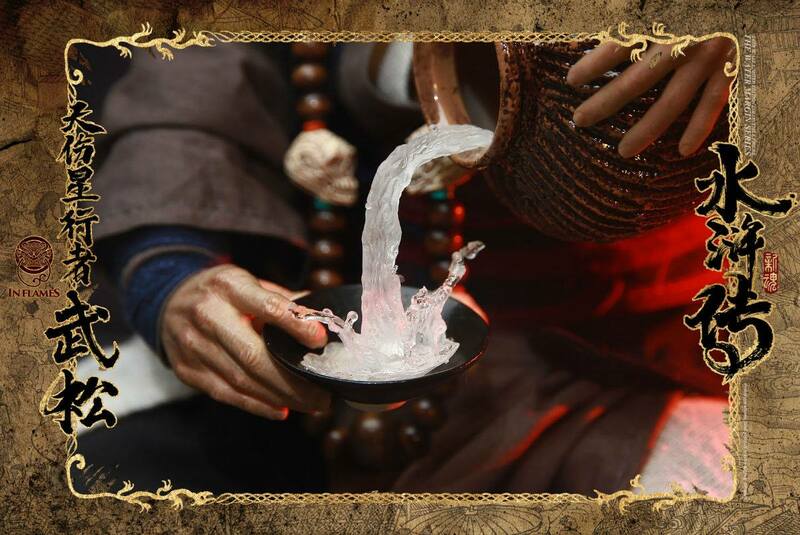 Their paths have led to different places and different experiences. 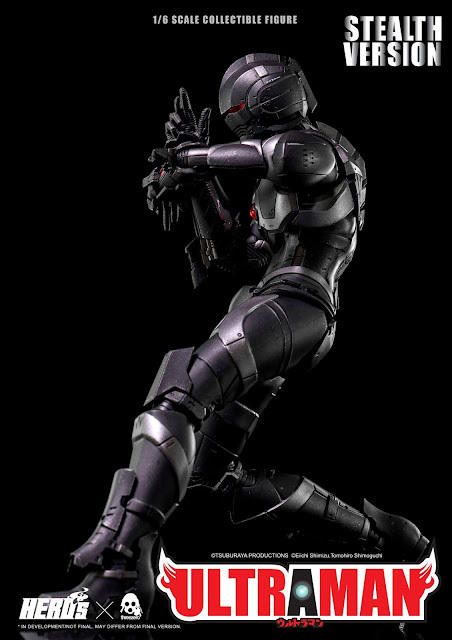 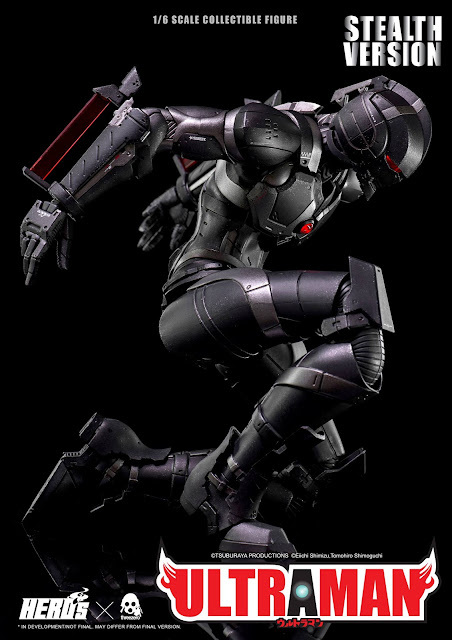 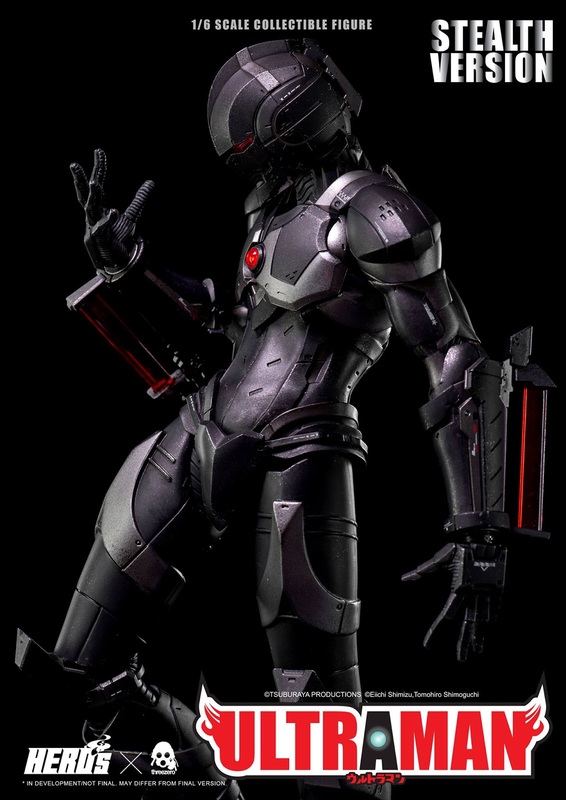 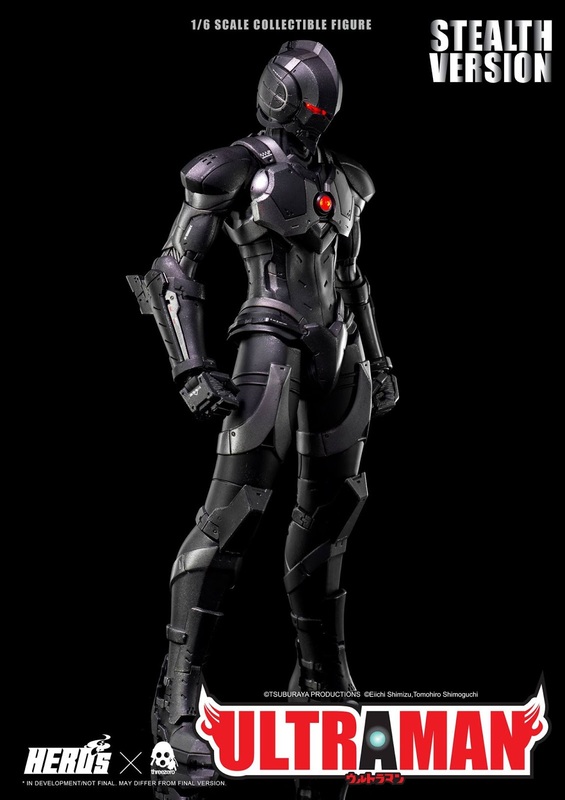 In a recent Ultraman Manga series set forty years after the original series, Shinjiro Hayata seems to possess a strange ability, and it is this ability, along with his father’s, Shin Hayata, that leads Shinjiro to battle the new aliens invading the Earth as the new Ultraman. 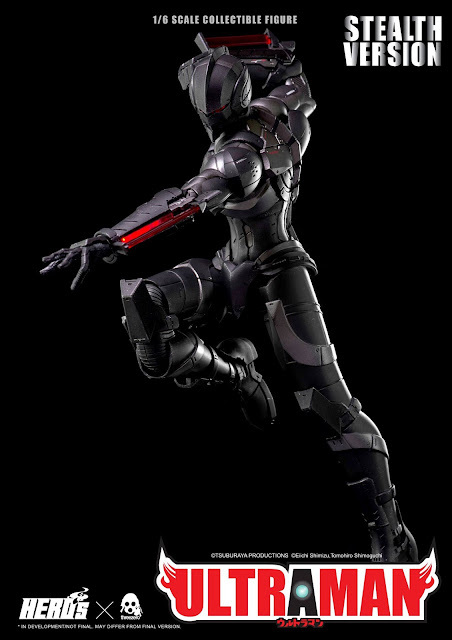 Threezero 1/6th scale STEALTH VERSION ULTRAMAN 12-inch Collectible Figure details: 31cm (12.2 inches) tall | Original body with over 40 points of articulation based on his appearance in the ULTRAMAN manga | Exquisitely detailed suit decals, paint application and weathering | Interchangeable Shinjiro head (sculpted by Ryu Oyama) | LED Light-up features: Eyes, Color Timer on chest, Spacium Blade device on arms. 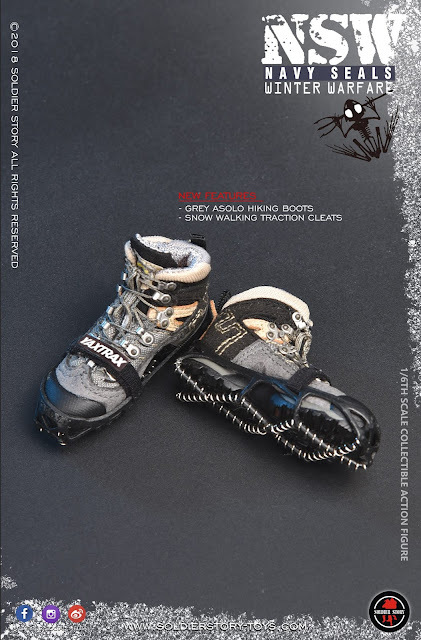 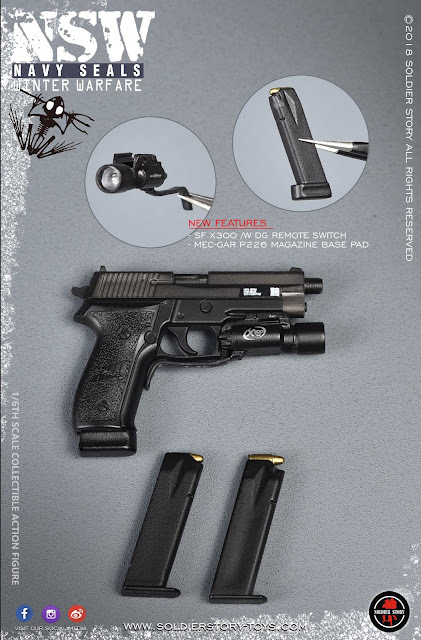 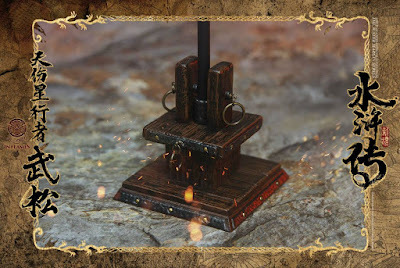 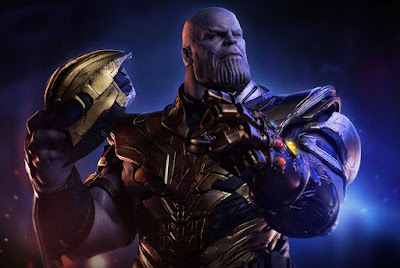 Accessories: Spacium Blade arm blade effect pieces (clear parts) | 4 total pairs of Hands: 1 pair relaxed, 1 pair spread, 1 pair fists, 1 pair Spacium Ray shooting pose. The Star Wars hype is on! 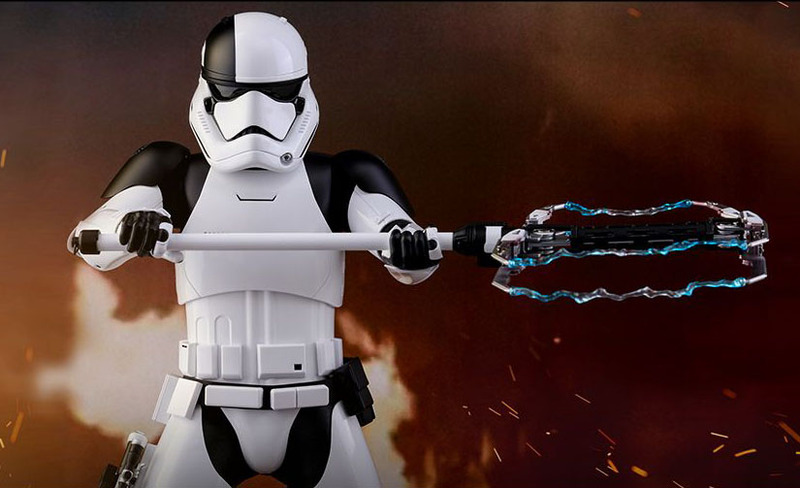 Eagerly awaited by Star Wars fans worldwide, the highly anticipated epic blockbuster Star Wars: The Last Jedi will finally be hitting the silver screen this December! 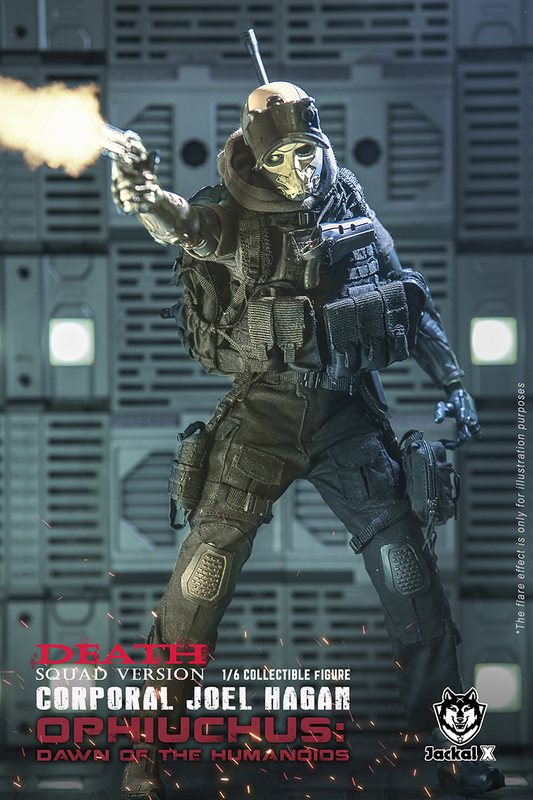 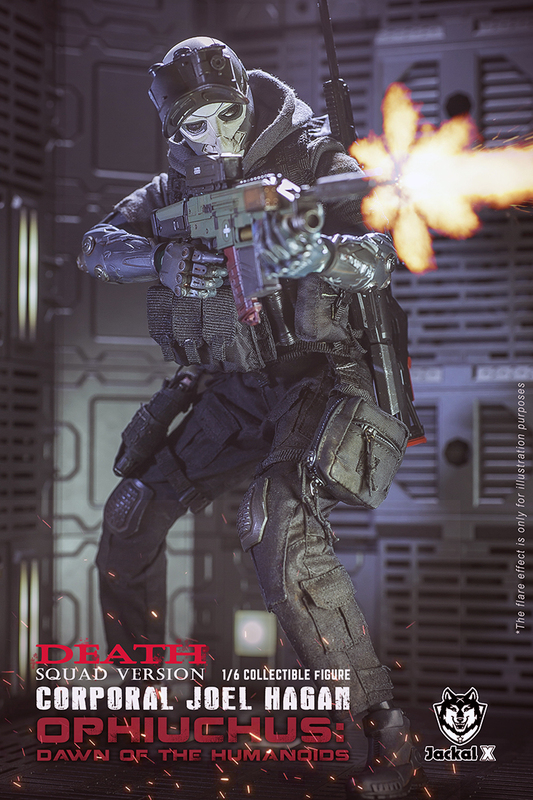 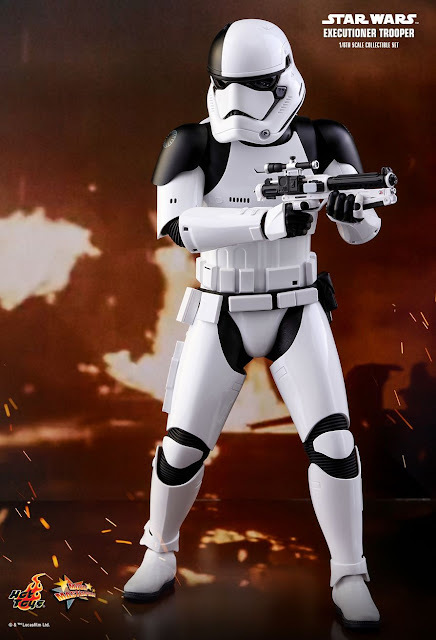 Today we are excited to officially introduce a 1/6th scale collectible figure of an all-new trooper with distinctive armor design from the upcoming film – the Executioner Trooper! 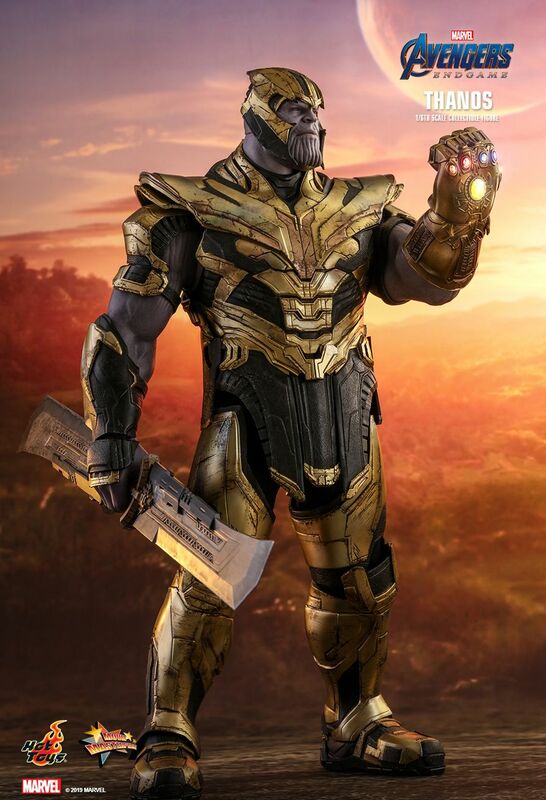 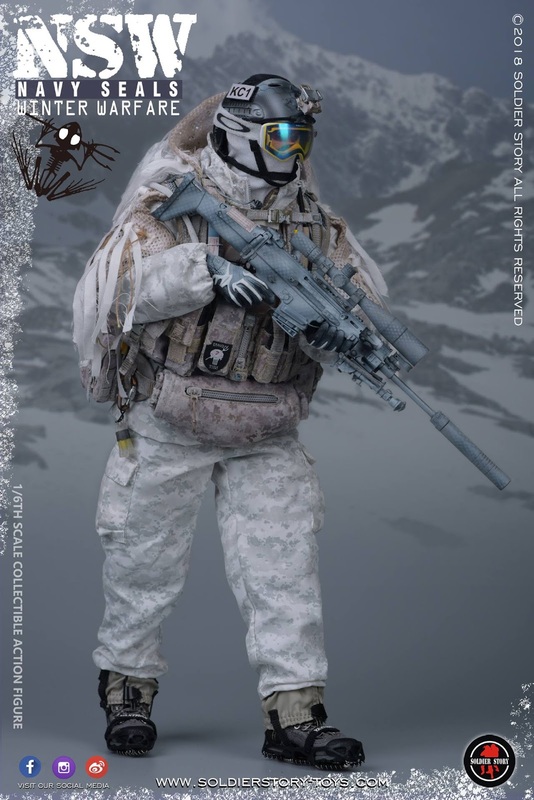 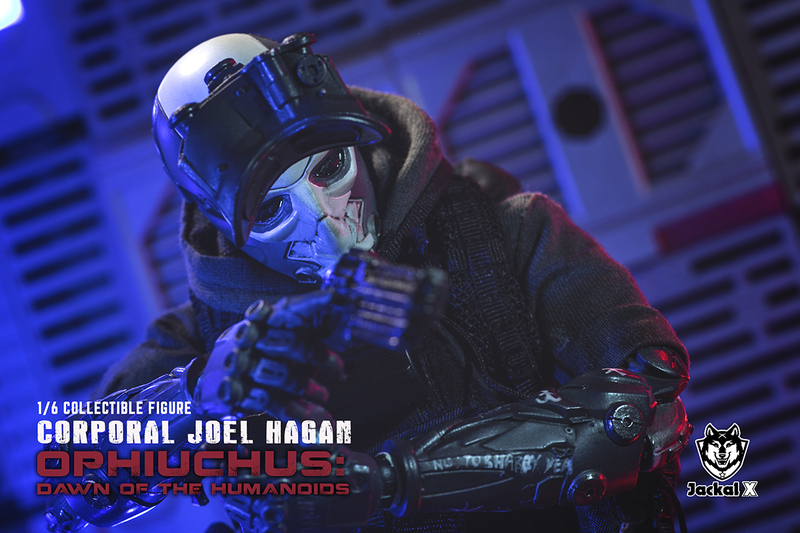 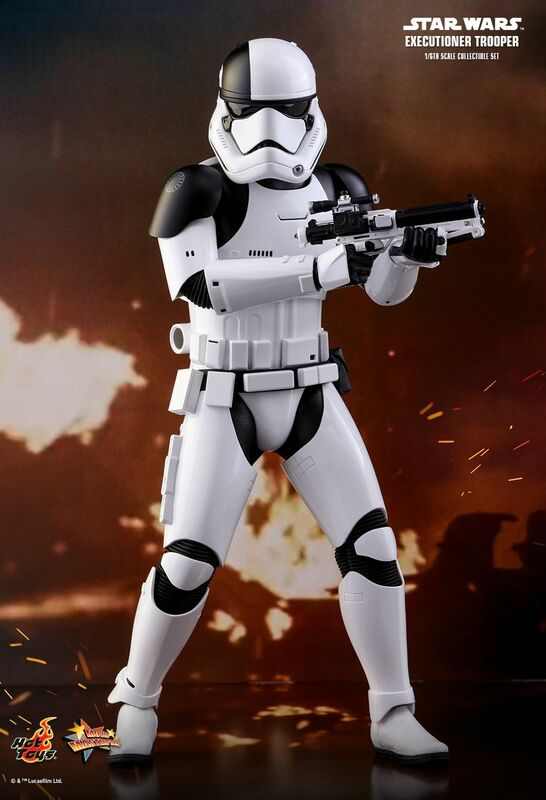 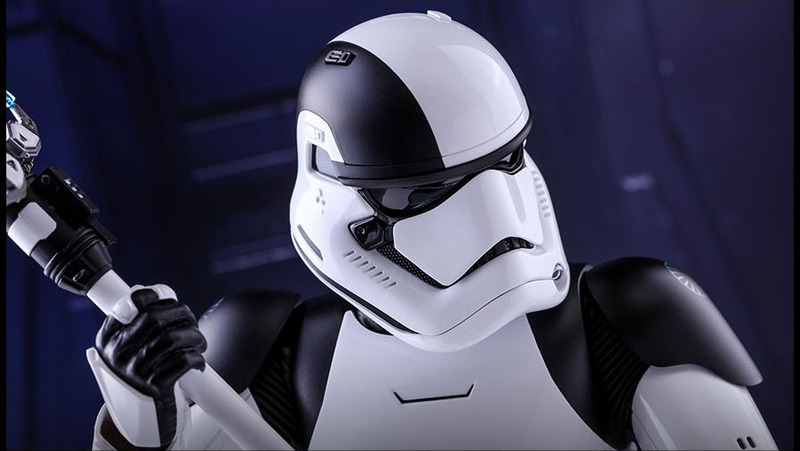 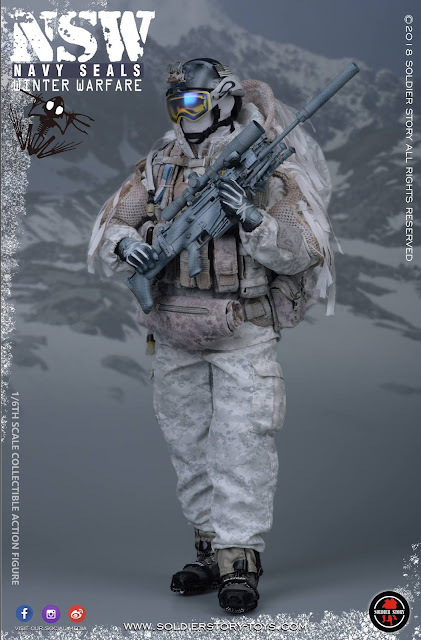 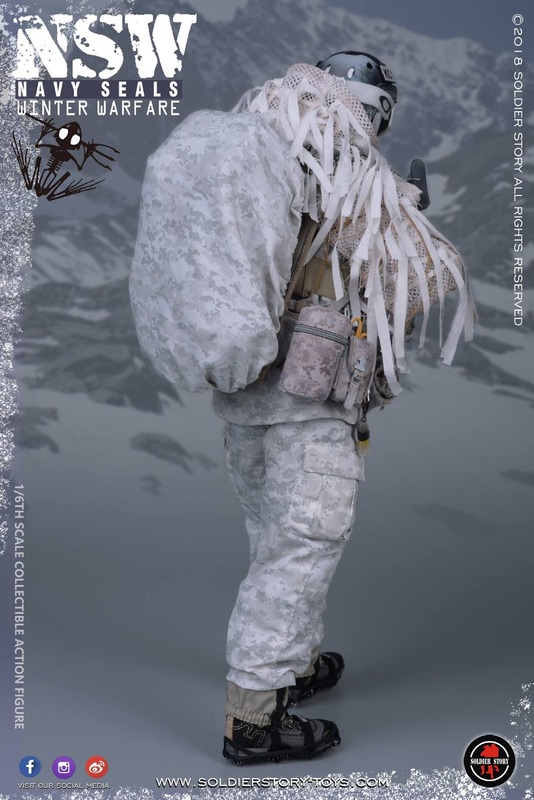 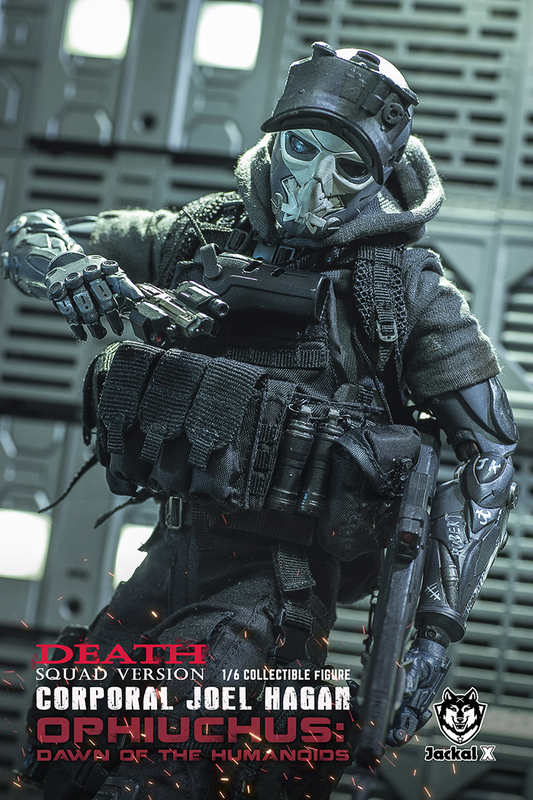 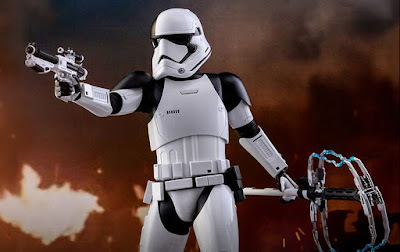 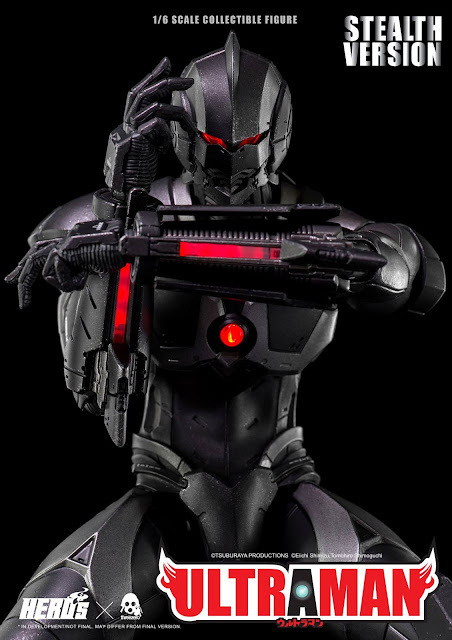 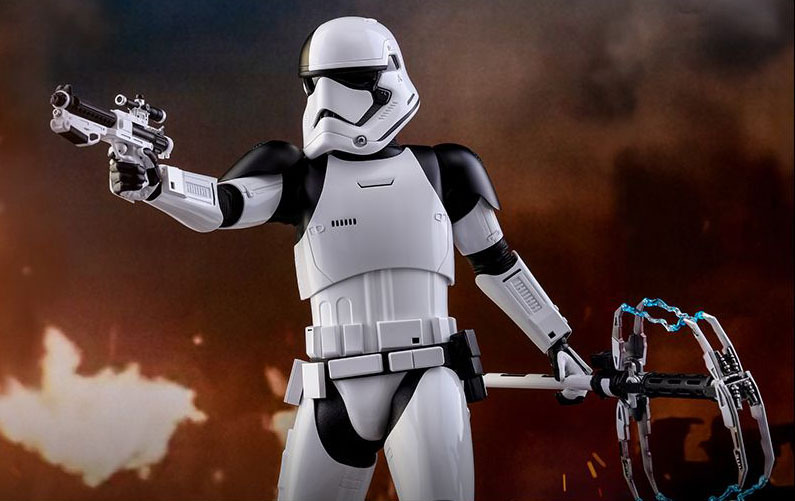 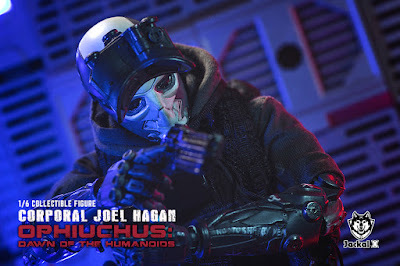 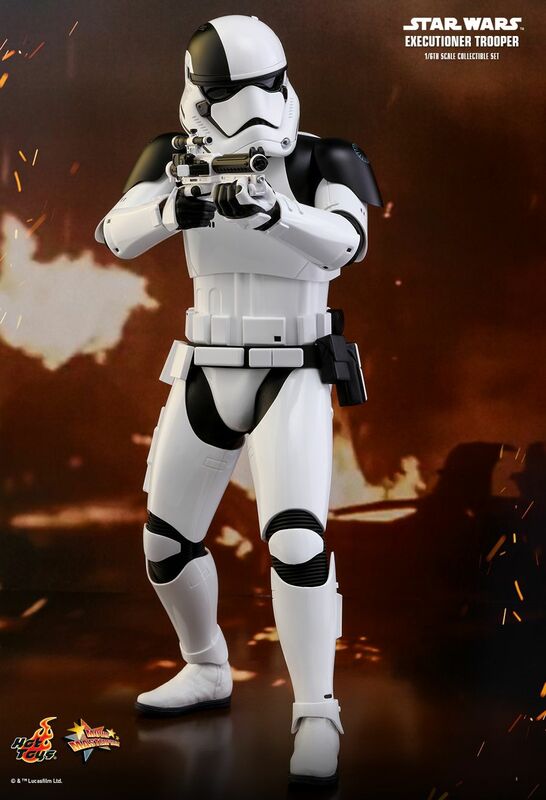 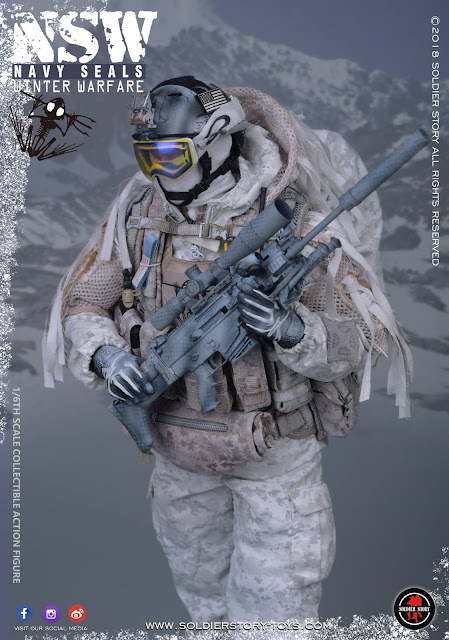 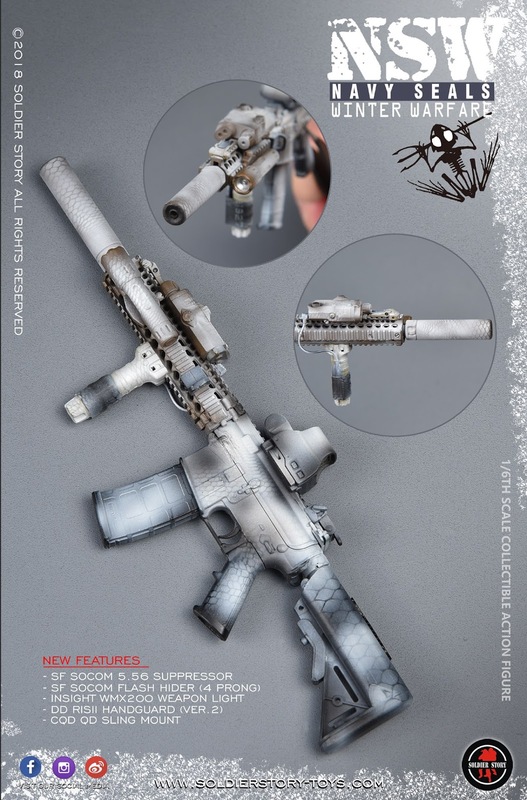 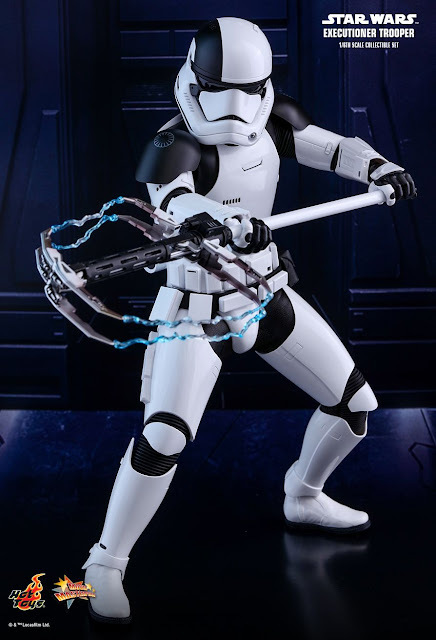 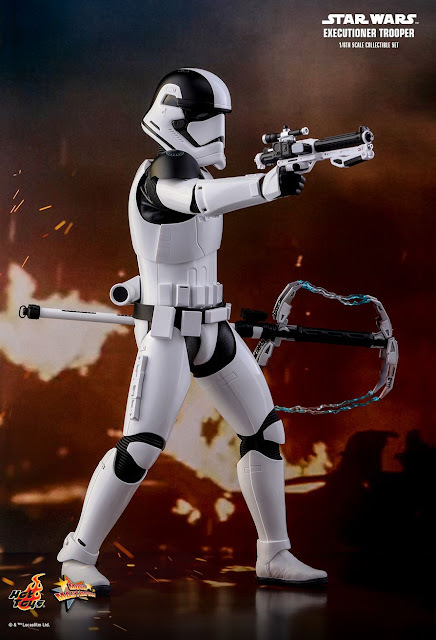 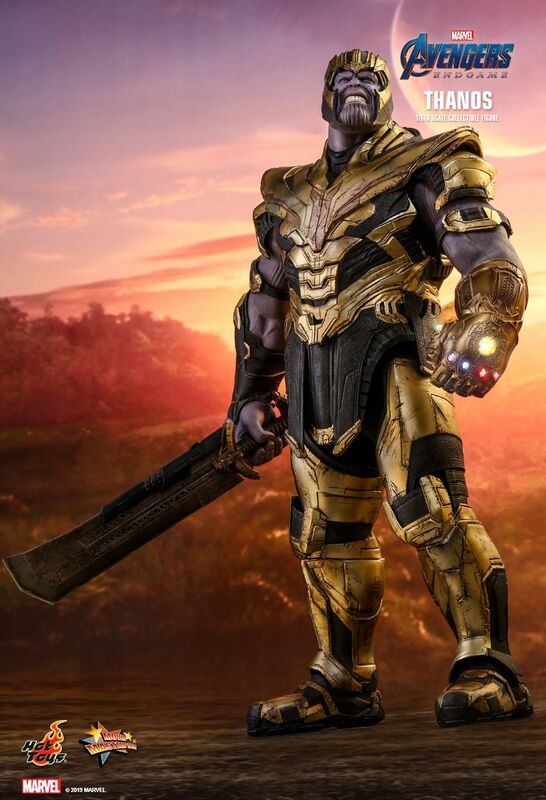 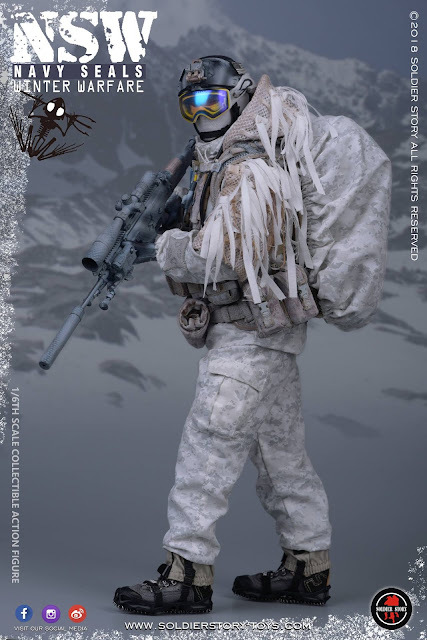 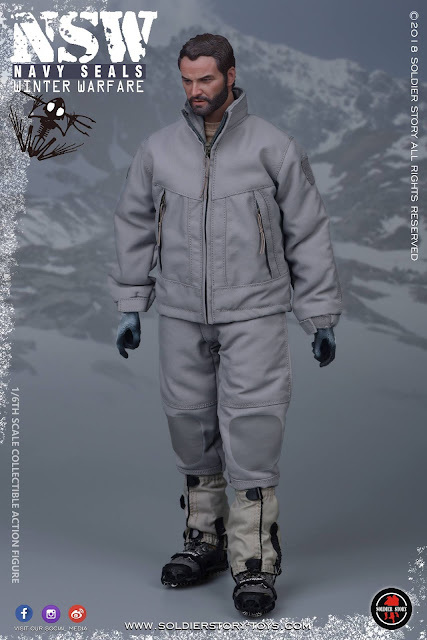 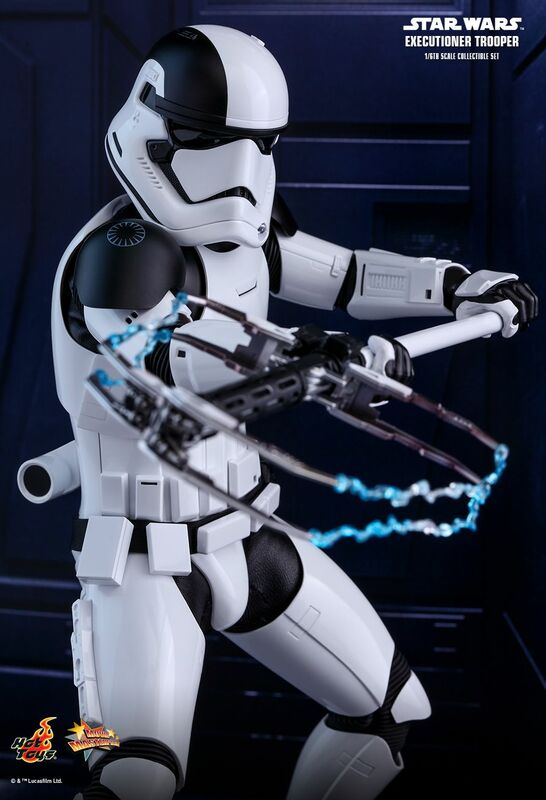 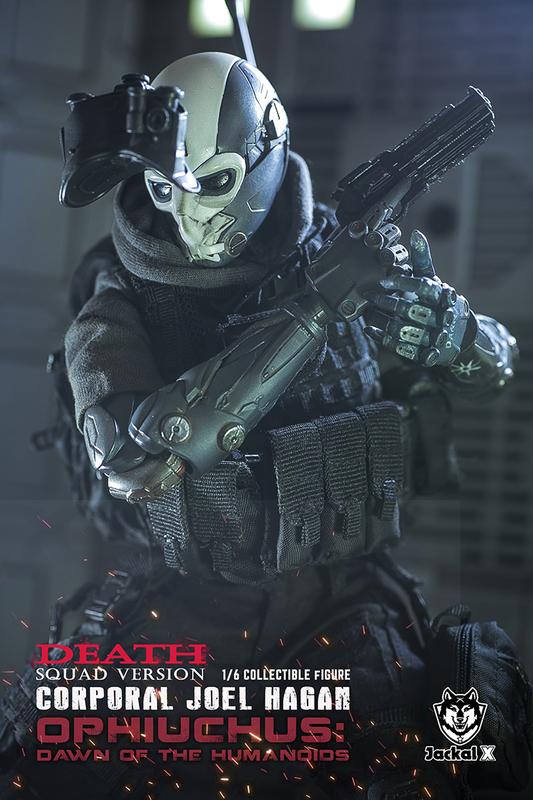 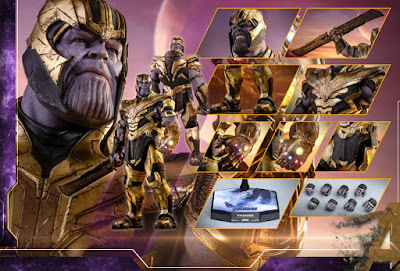 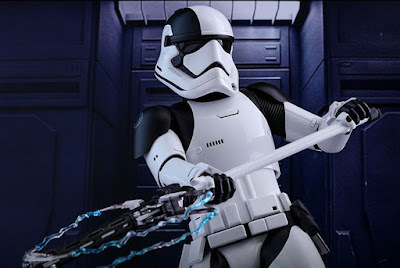 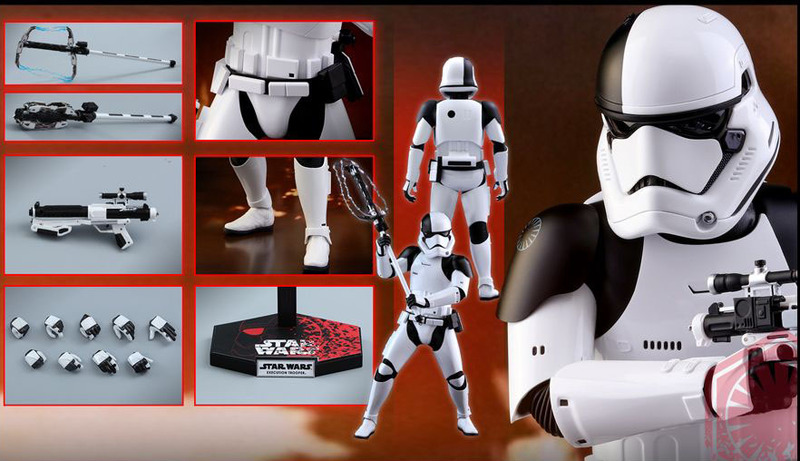 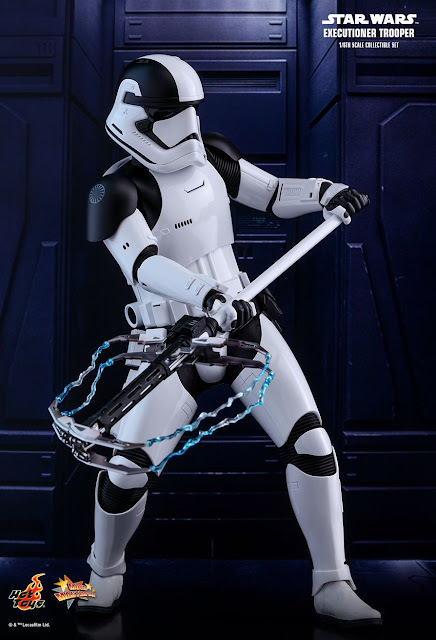 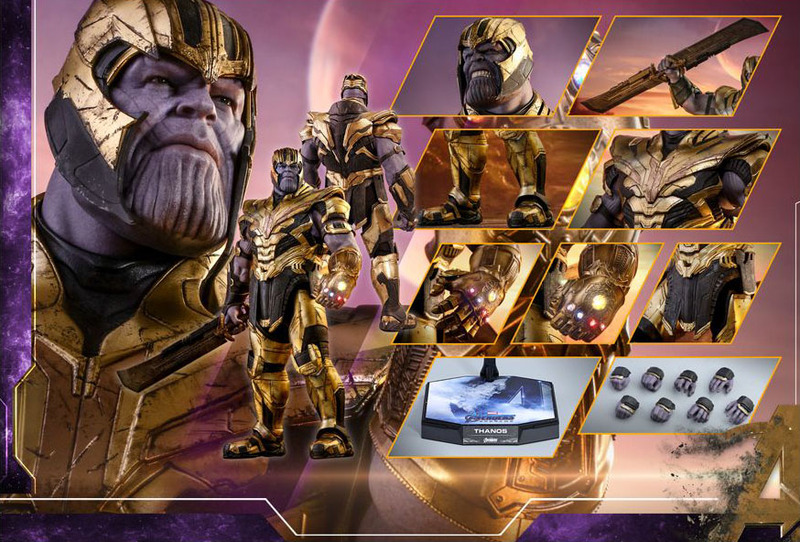 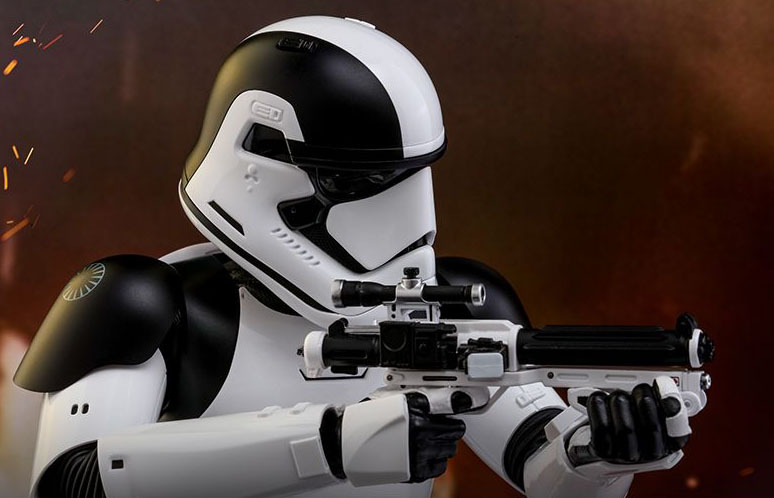 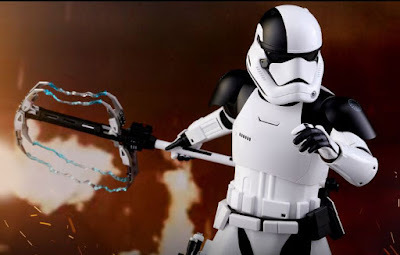 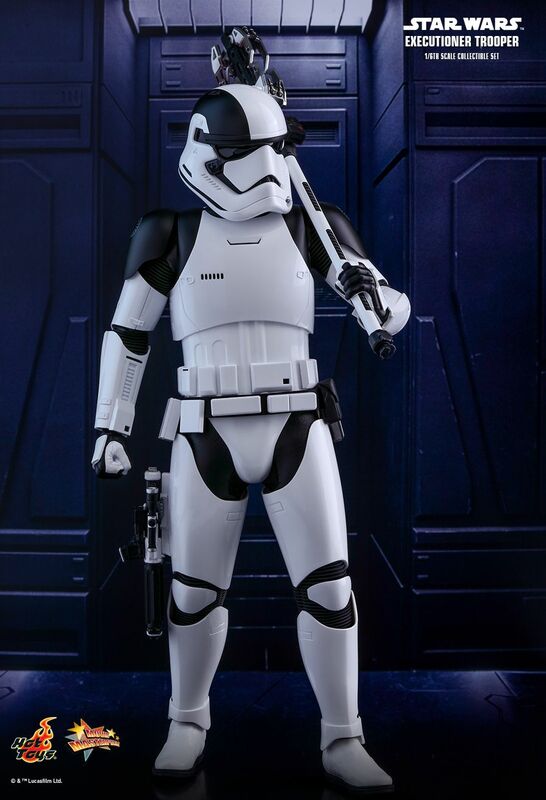 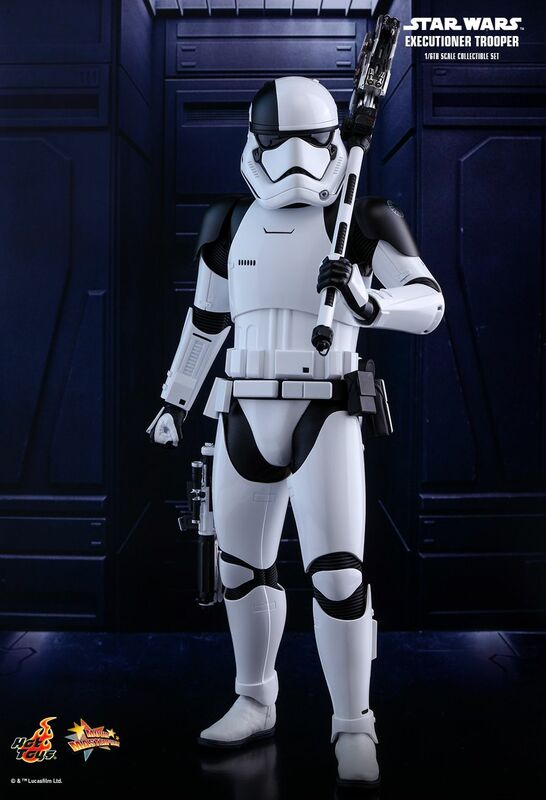 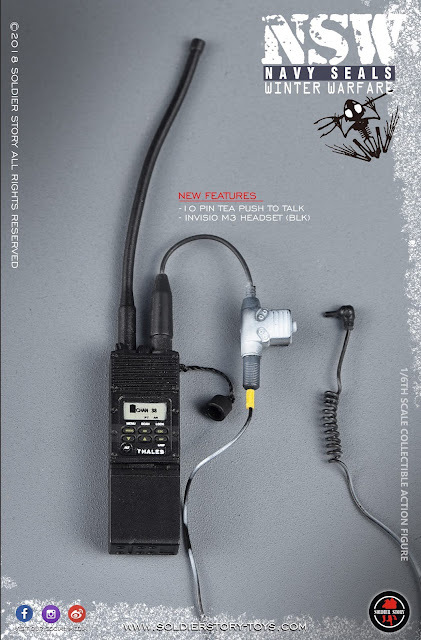 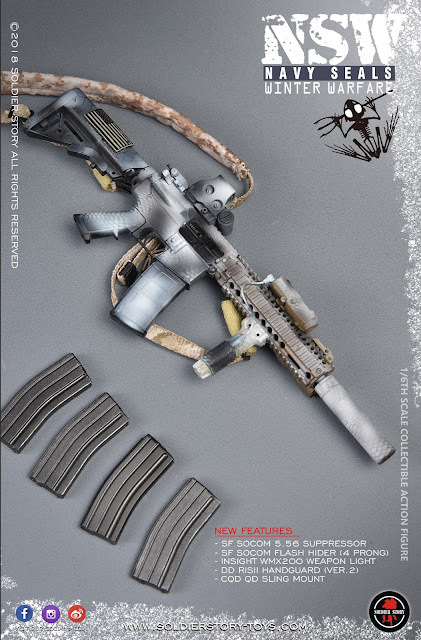 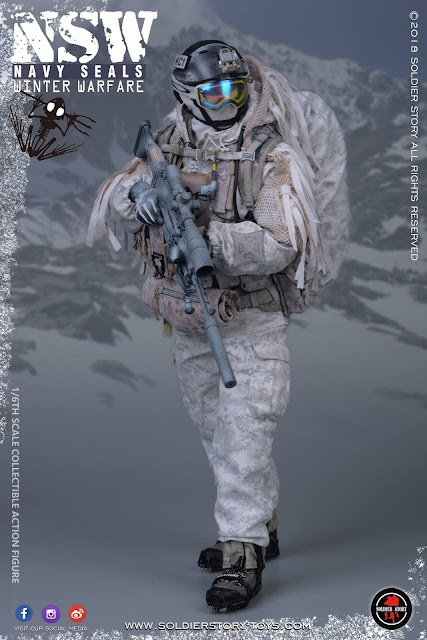 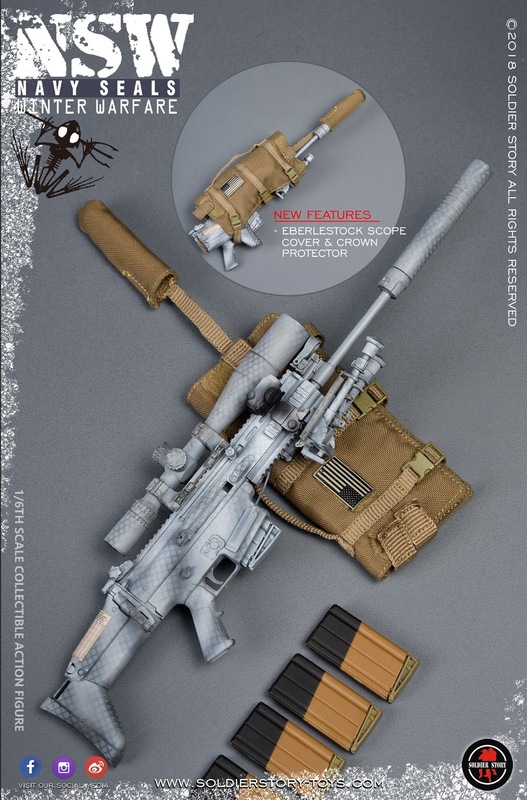 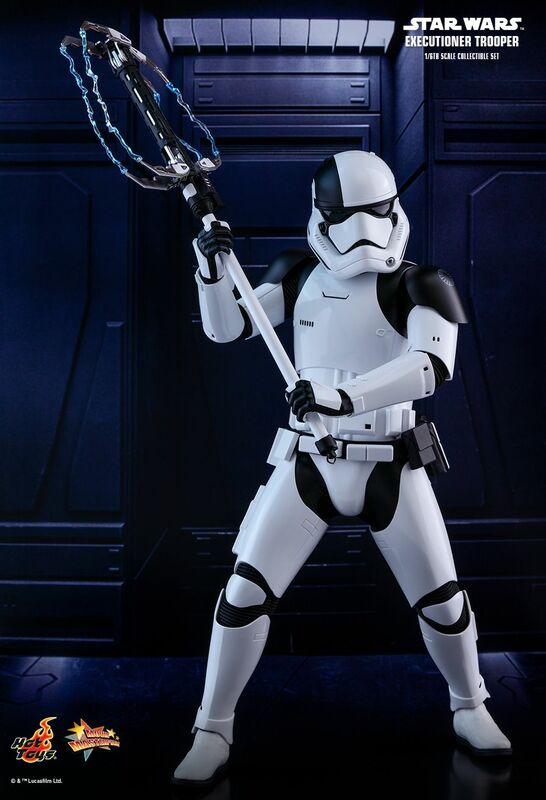 The highly-accurate collectible figure is specially crafted based on the image of Executioner Trooper from Star Wars: The Last Jedi featuring new matte black with glossy white colored helmet and armor design, newly developed body and under-suit with improved articulations, the trooper’s unique weapon: electric axe with electricity effect parts, a blaster rifle, and a specially designed figure stand! 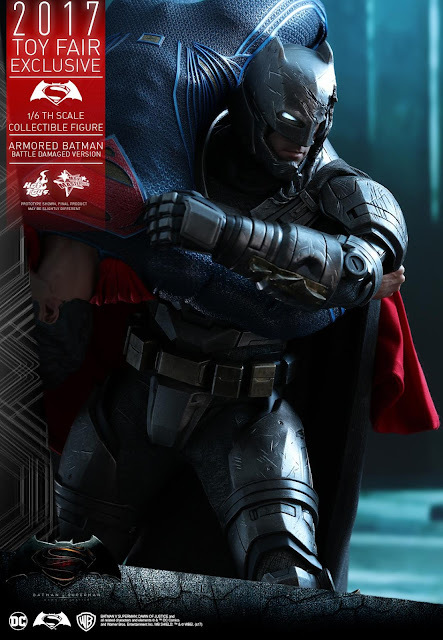 With the release of DC Comics’ Batman v Superman: Dawn of Justice, superhero fans around the world has witnessed the tense battle between Batman and Superman where Batman uses his skills and intelligence in order to fight the god-like Superman. Today, Hot Toys is excited to introduce the new 1/6th scale collectible figure of the Armored Batman (Battle Damaged Version) as a Toy Fair Exclusive item only available in selected markets! 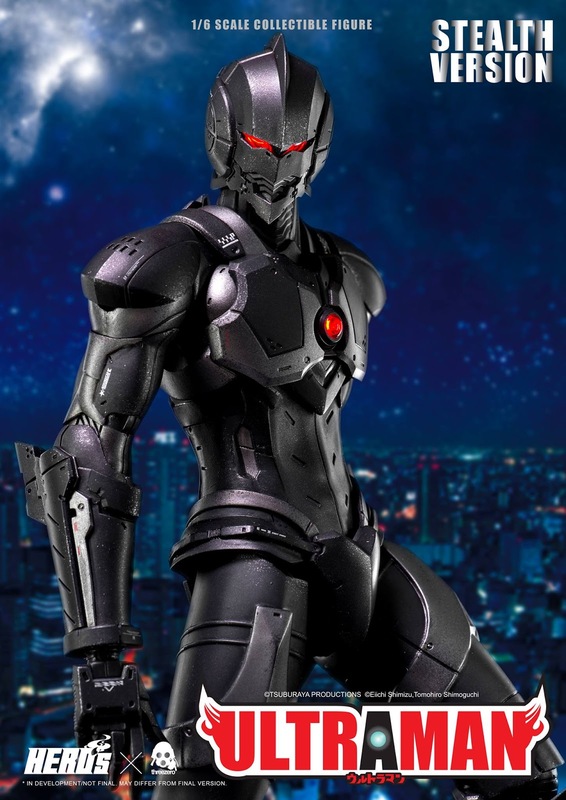 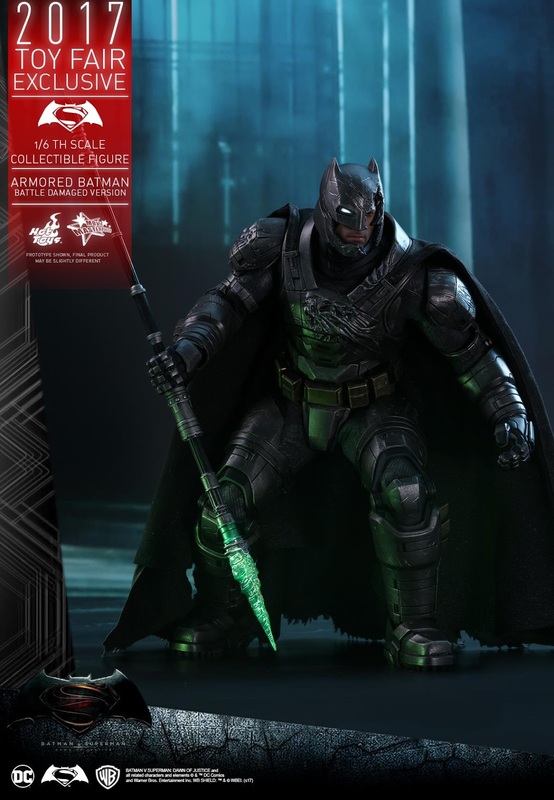 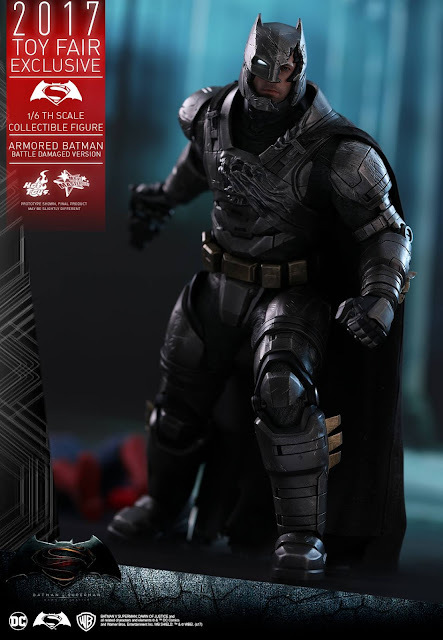 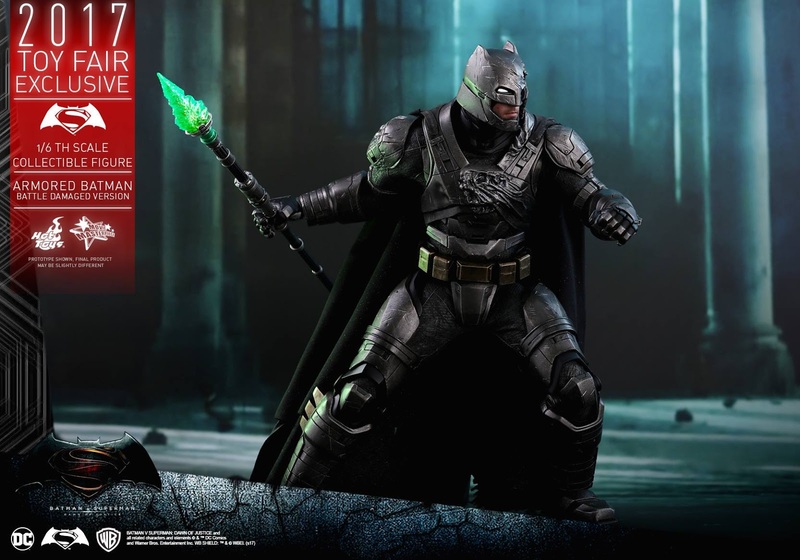 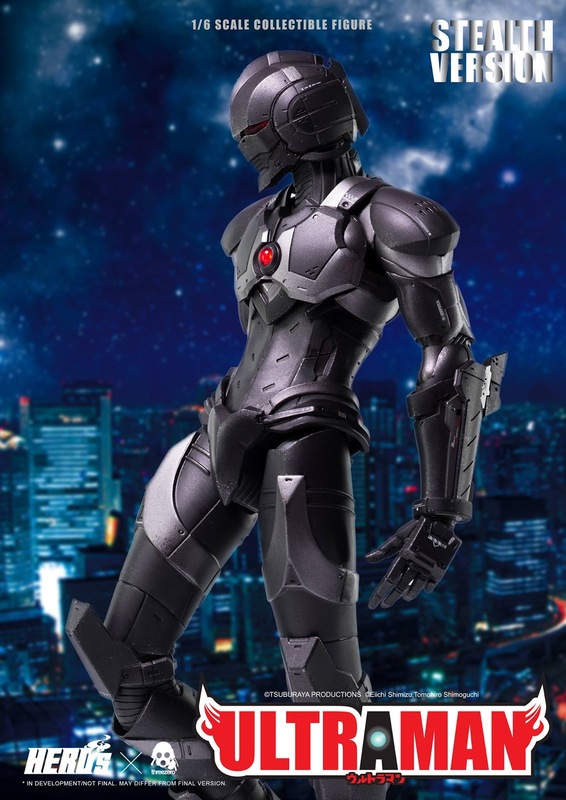 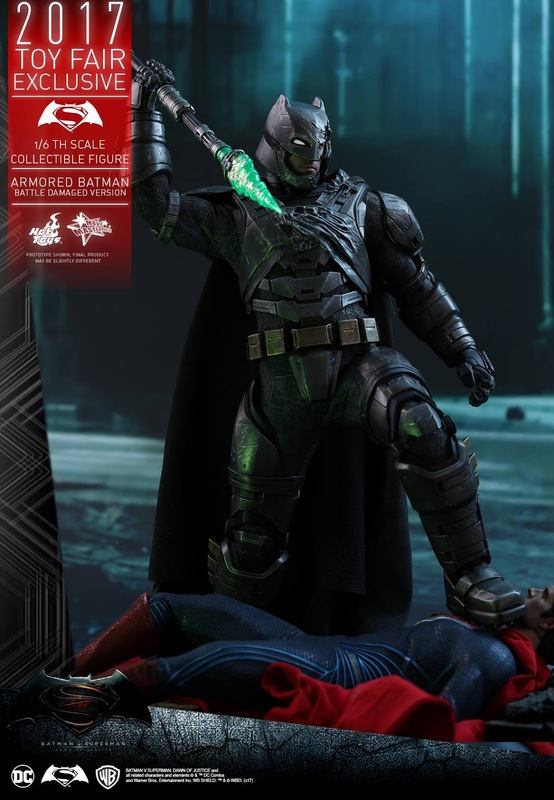 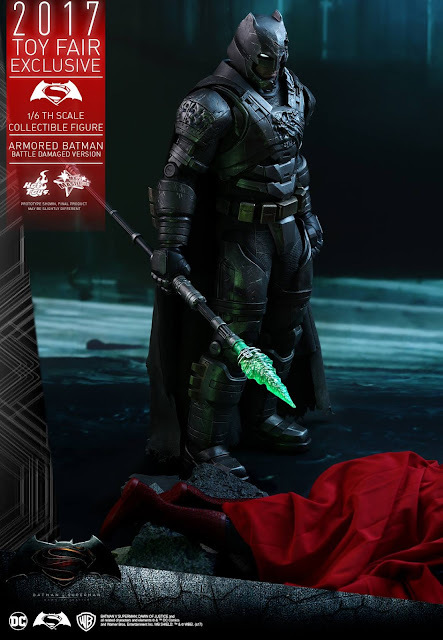 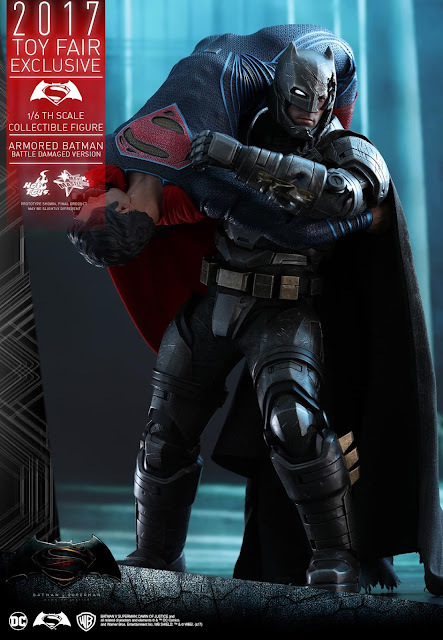 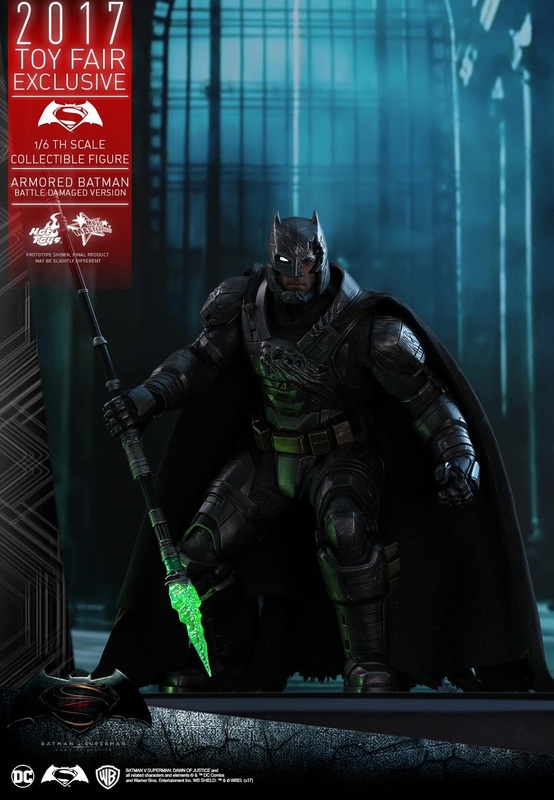 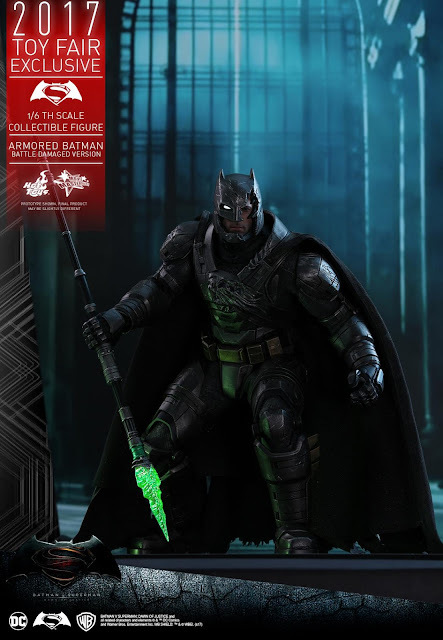 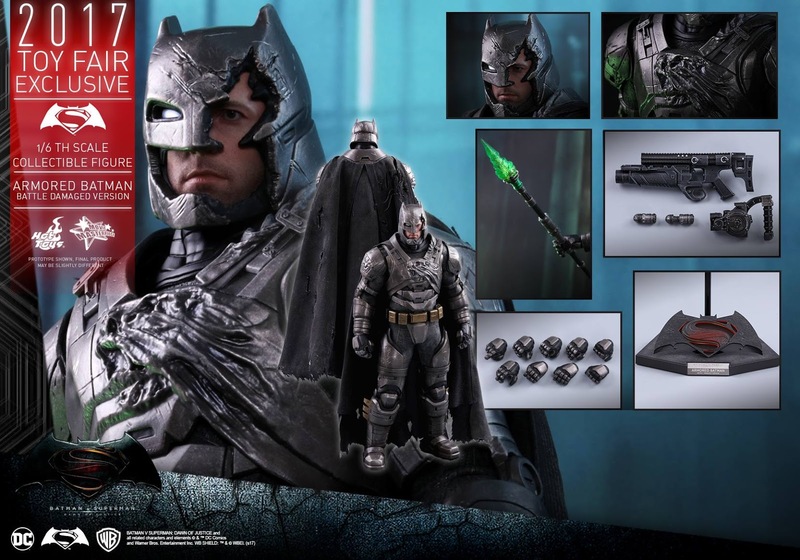 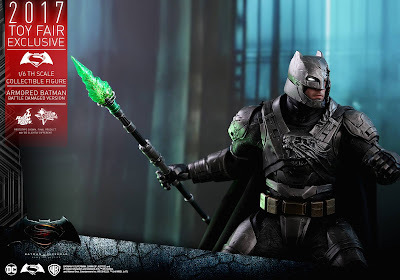 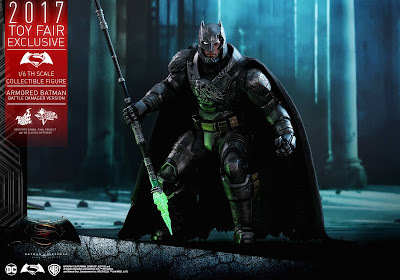 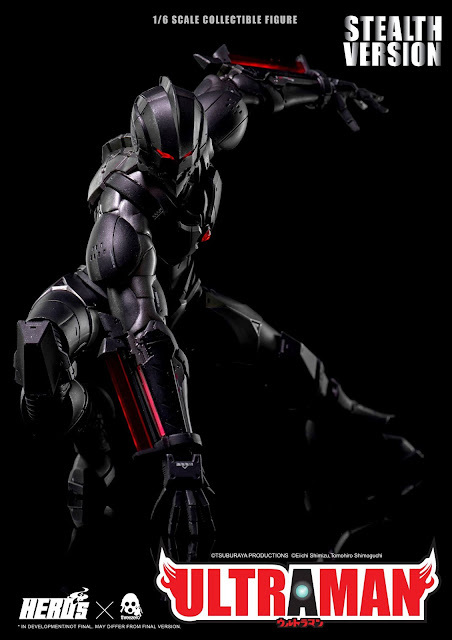 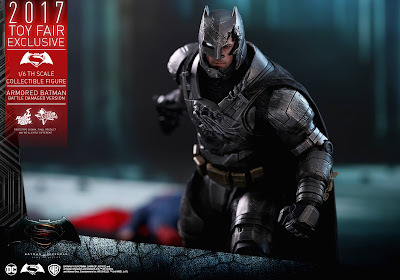 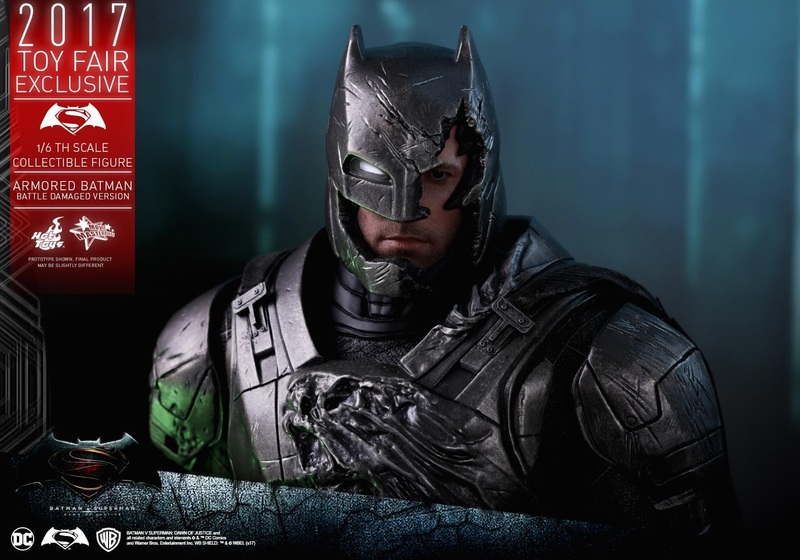 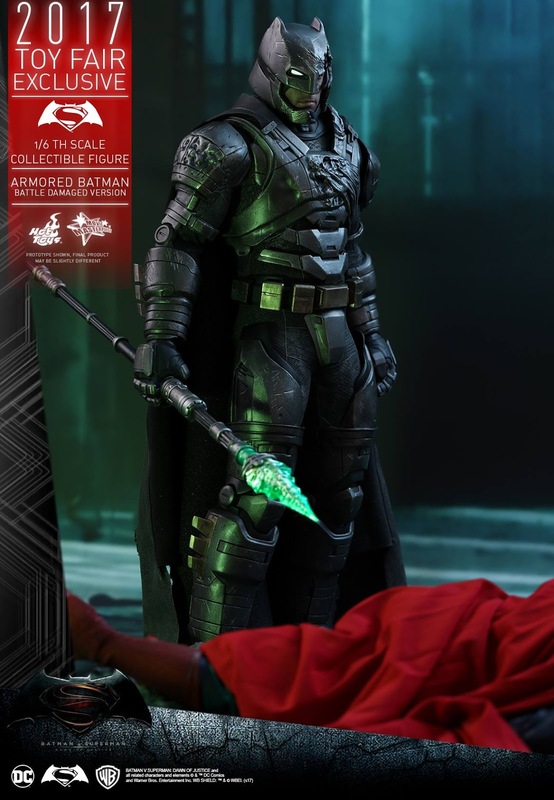 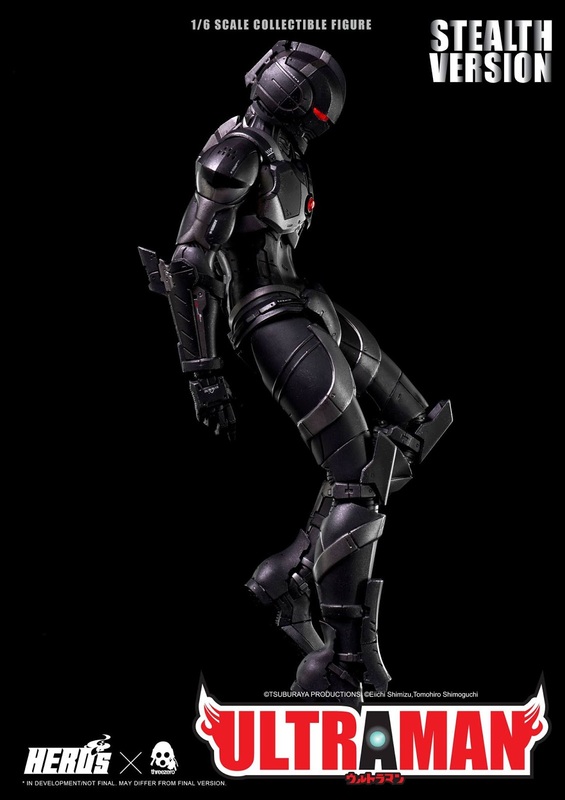 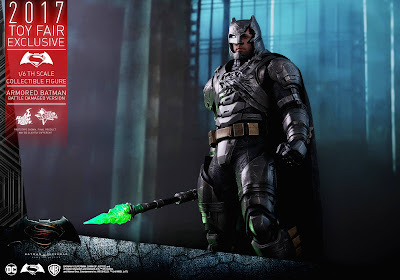 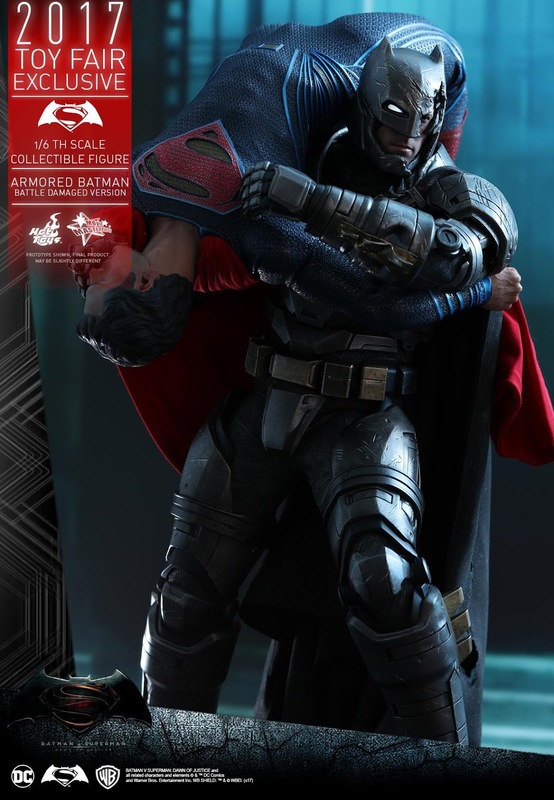 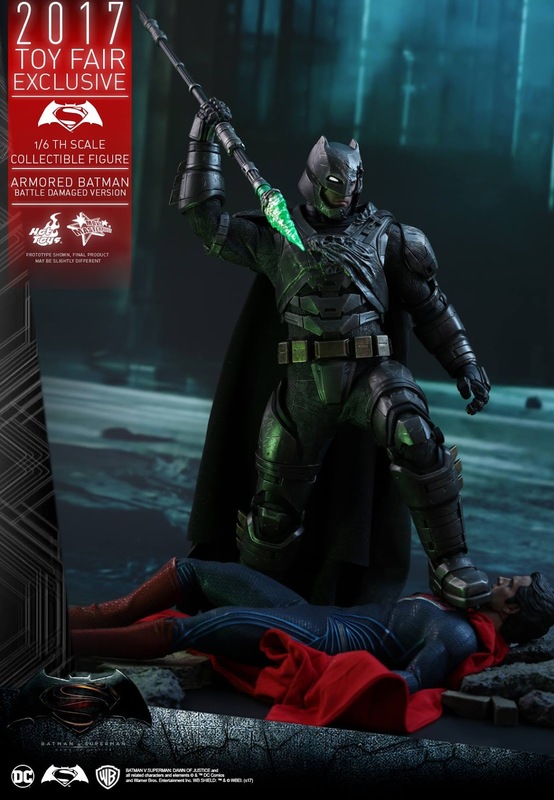 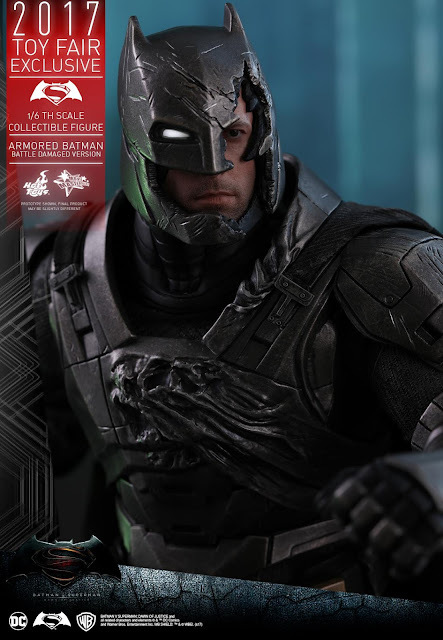 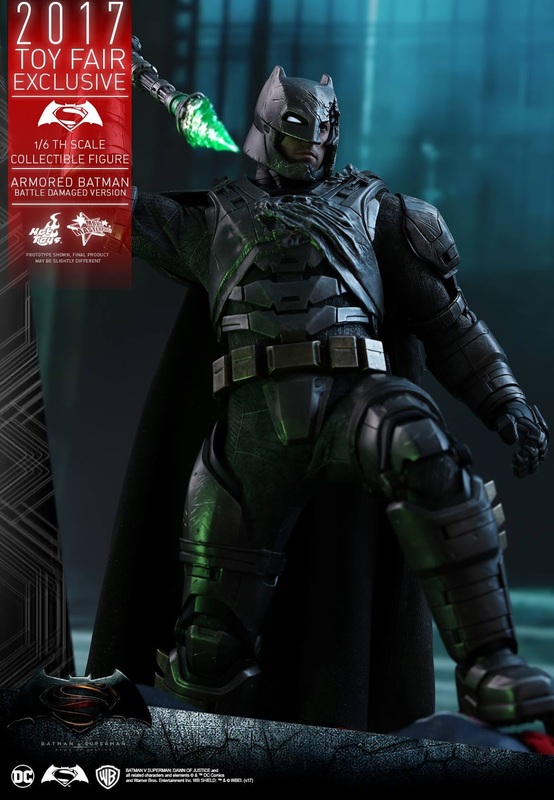 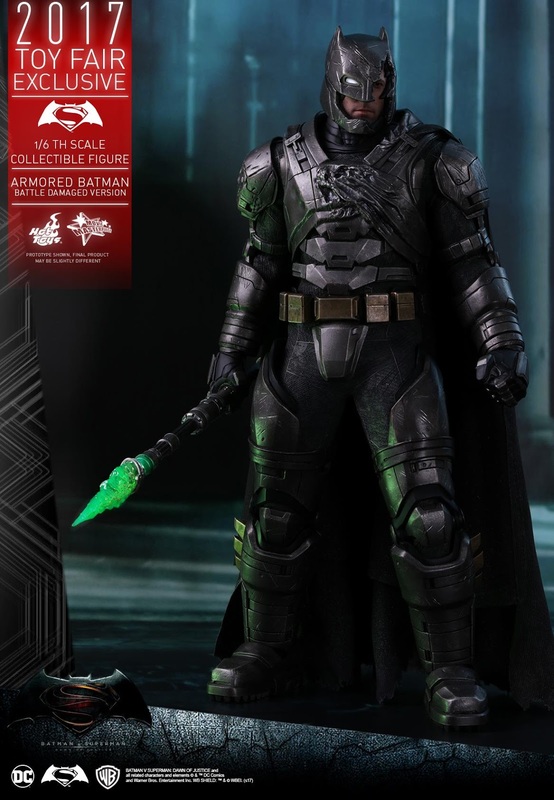 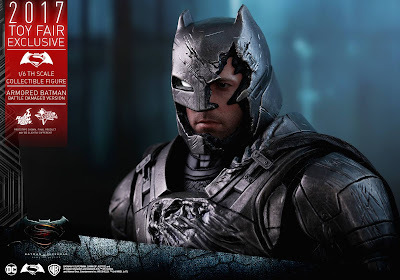 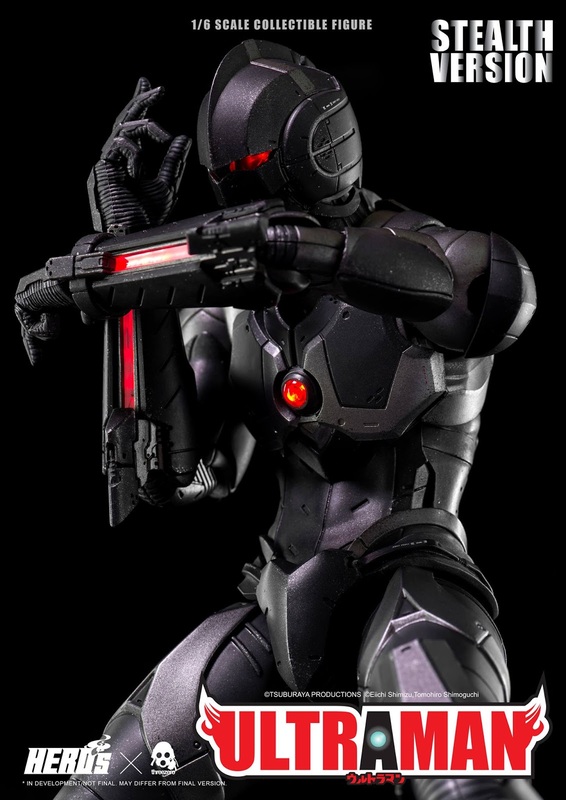 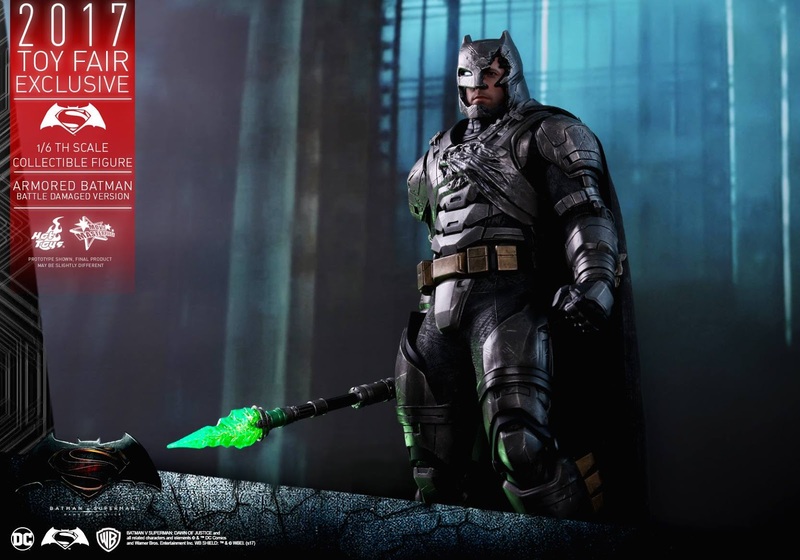 Inspired by the fierce battle between the Bat of Gotham and Son of Krypton in Batman v Superman: Dawn of Justice, the collectible figure is fastidiously crafted based on Ben Affleck’s image as Batman in his battle damaged armored suit, featuring a newly developed battle damage armored head sculpt with single LED light-up eye, meticulously sculpted armor with battle damaged parts, muscular body with improved articulation, a LED light-up Kryptonite spear, a grapple gun, a grenade gun, and a specially designed Batman v Superman: Dawn of Justice themed figure stand.